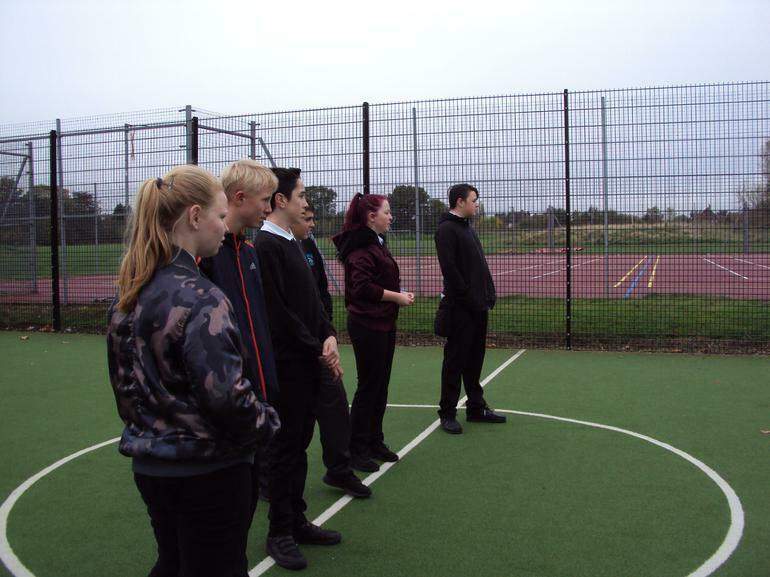 Year 9 Jump Xtreme 16.7.2018. 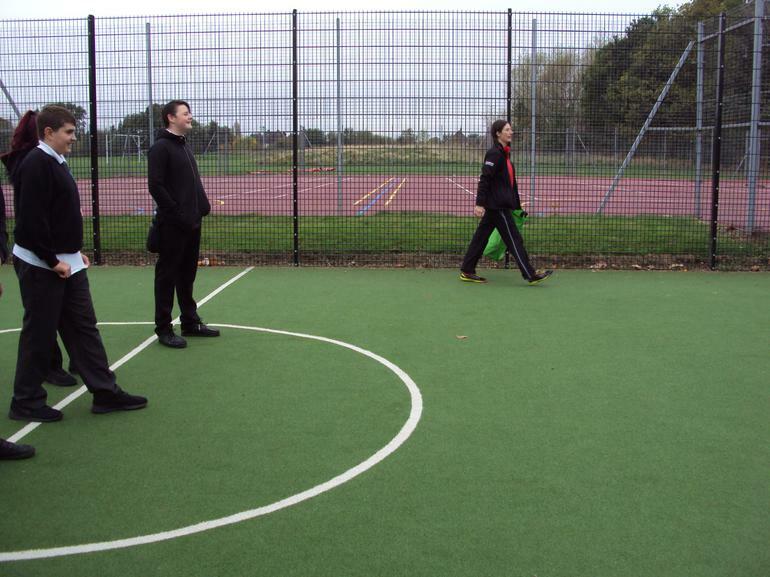 Singing songs and telling jokes around the fire . 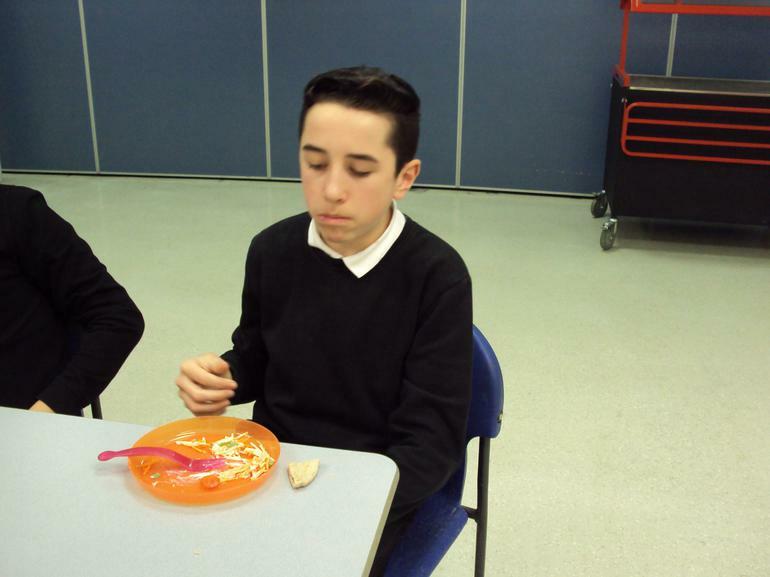 Morning.... we all slept well and are ready to start a fun packed day. 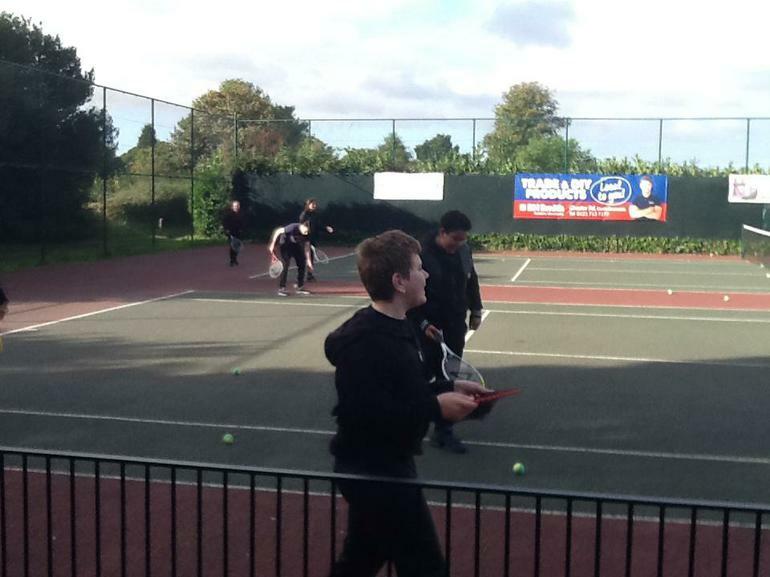 We’ve had a fantastic first day, arrived safely. 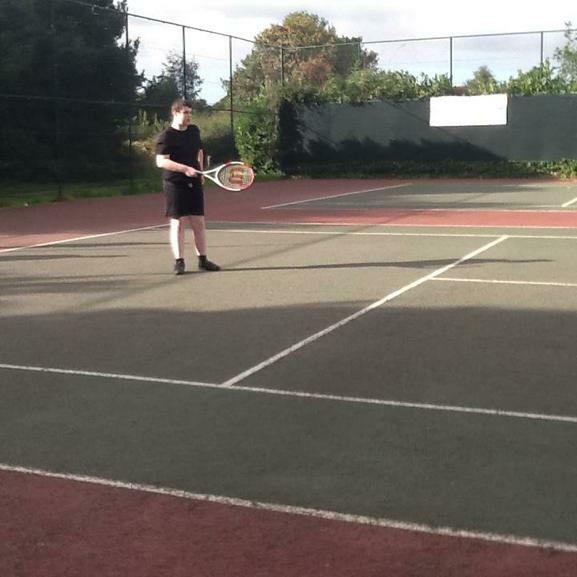 Kingswood is a fantastic place beautiful surroundings lovely accommodation. 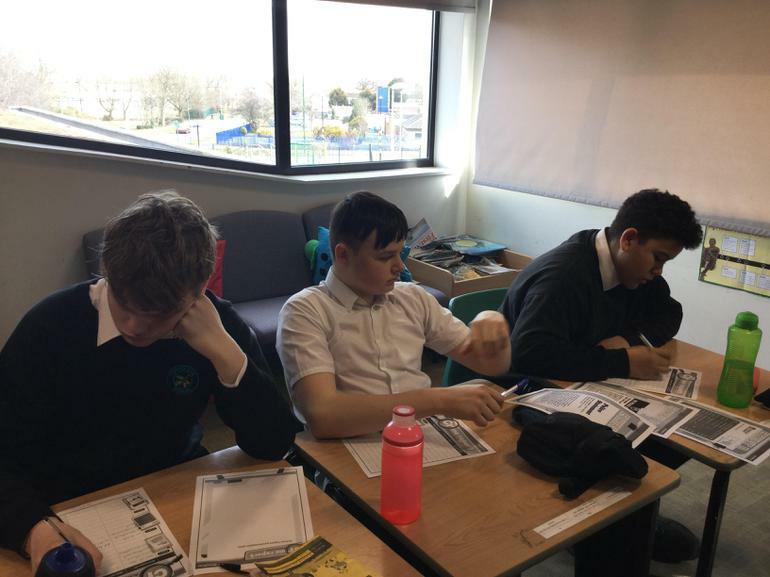 We’ve already done low ropes, laser quest and scrap heap challenge so everyone is tucked up in bed resting ready for another full day tomorrow. 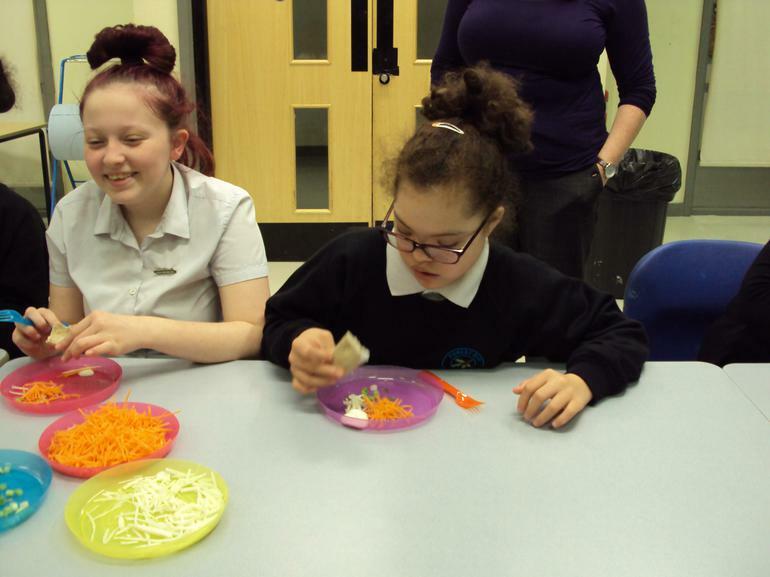 Everyone has been amazing. 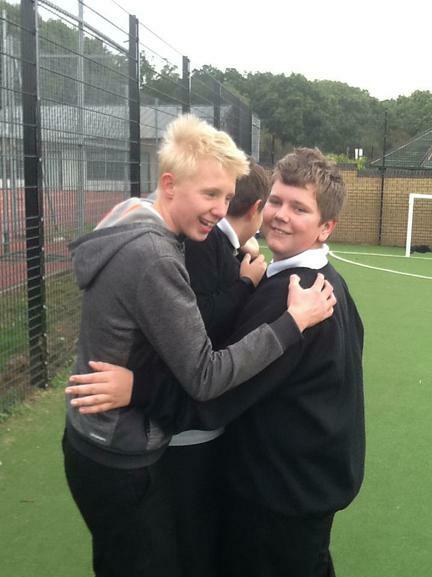 We will keep in touch. 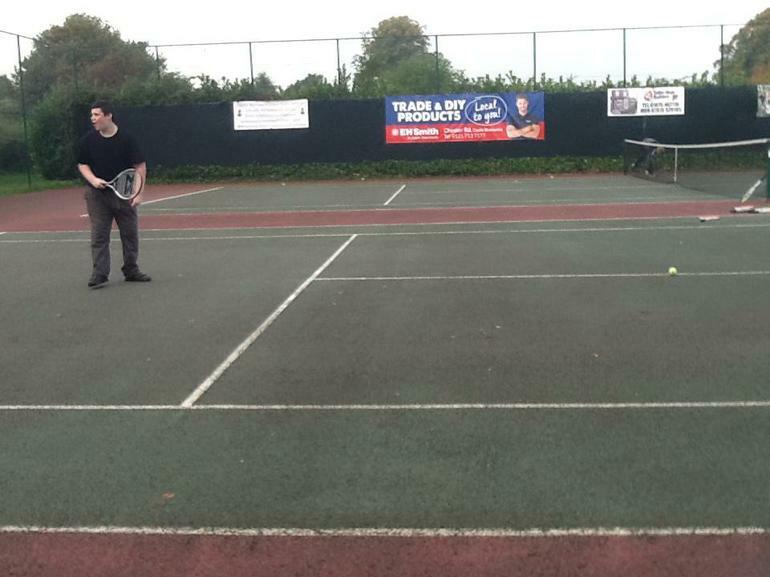 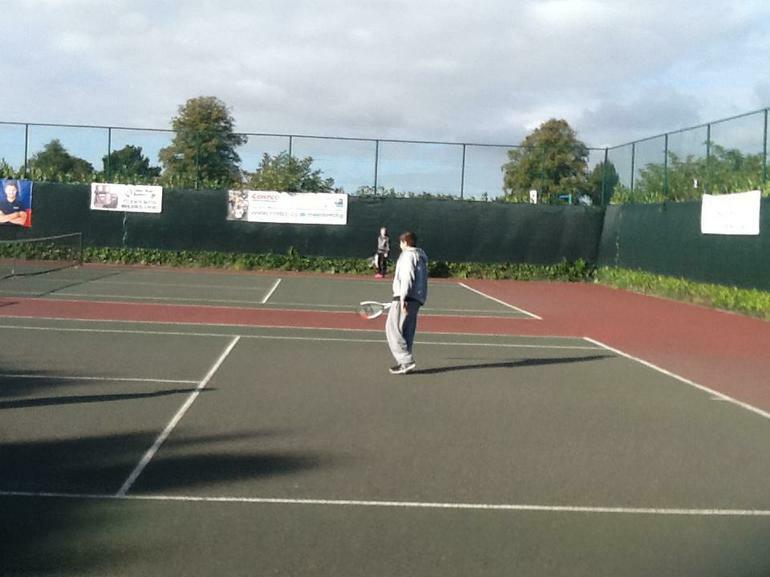 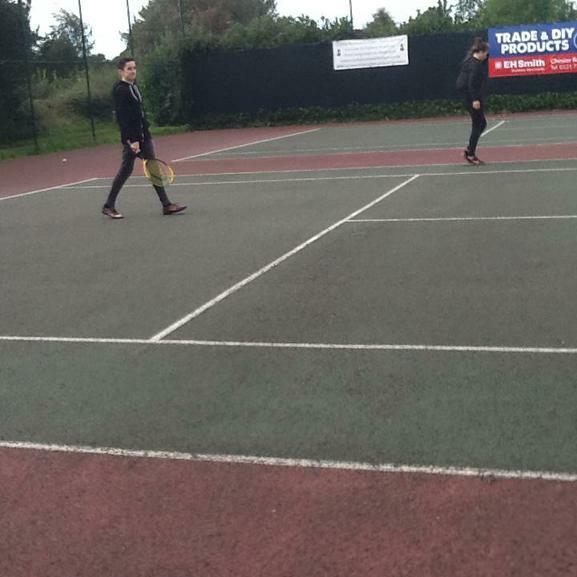 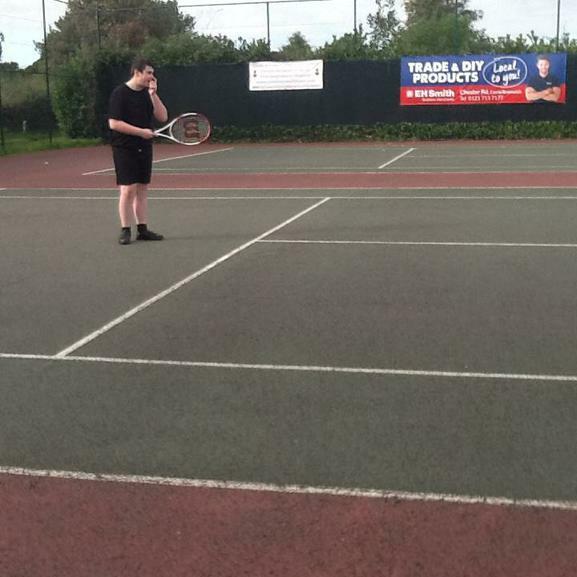 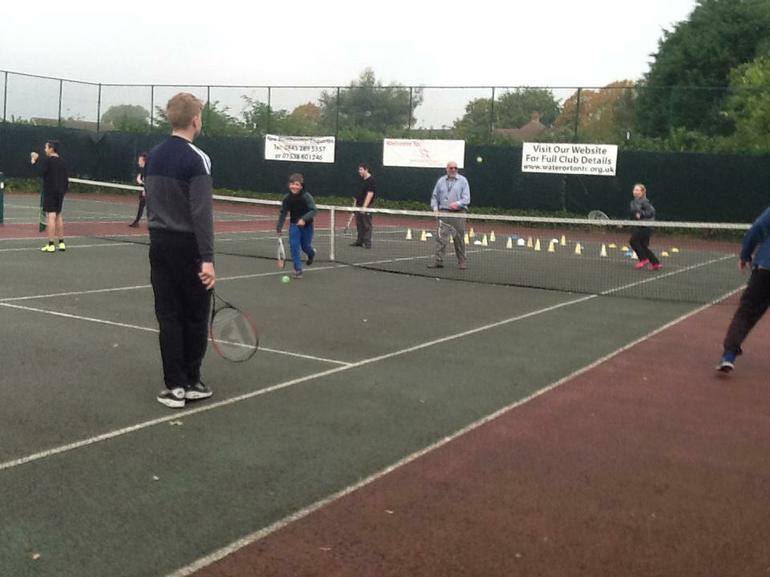 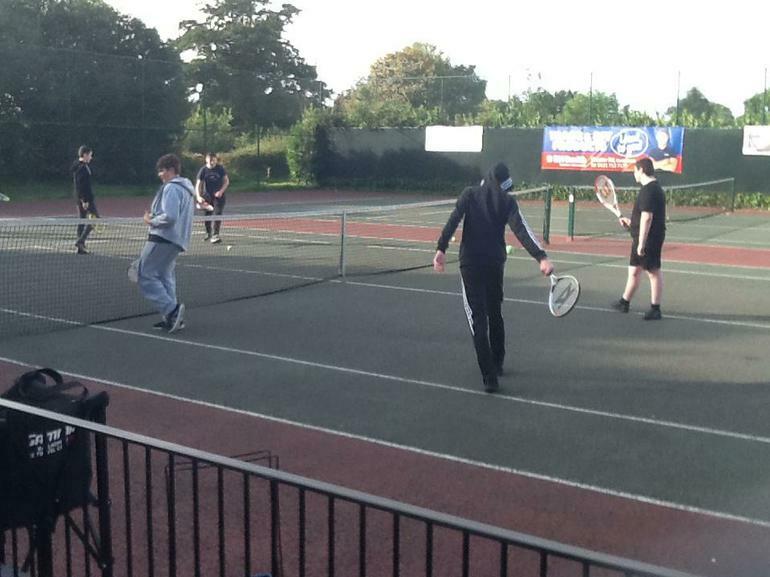 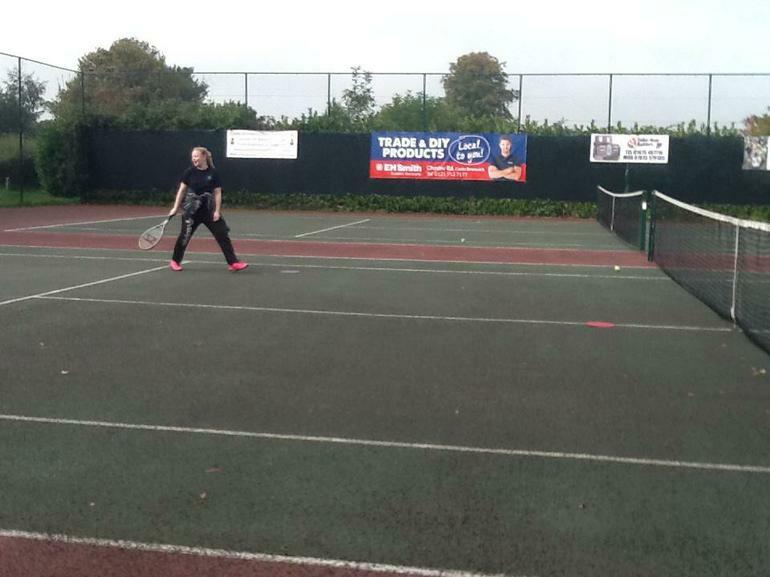 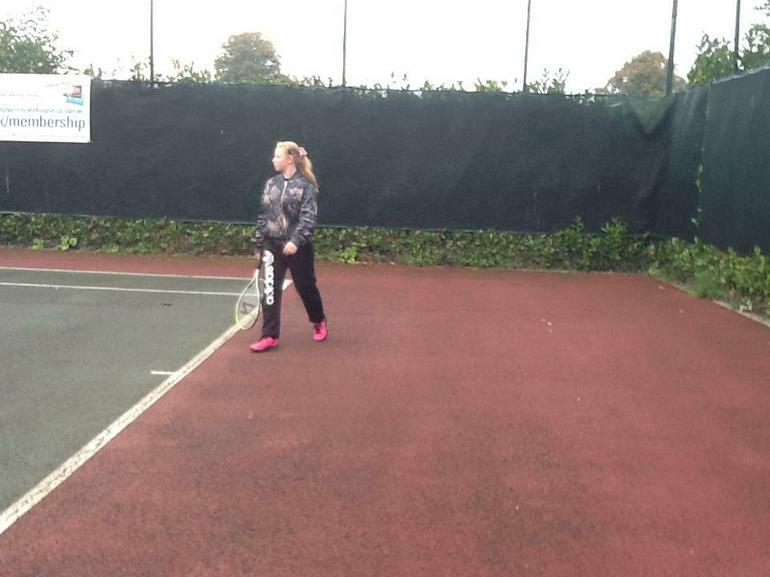 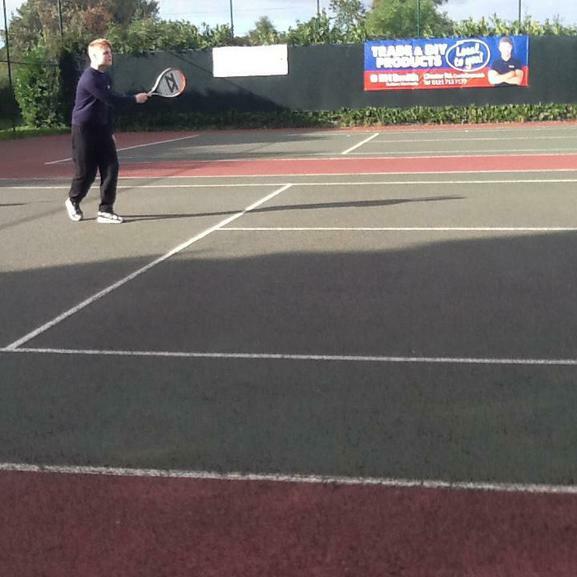 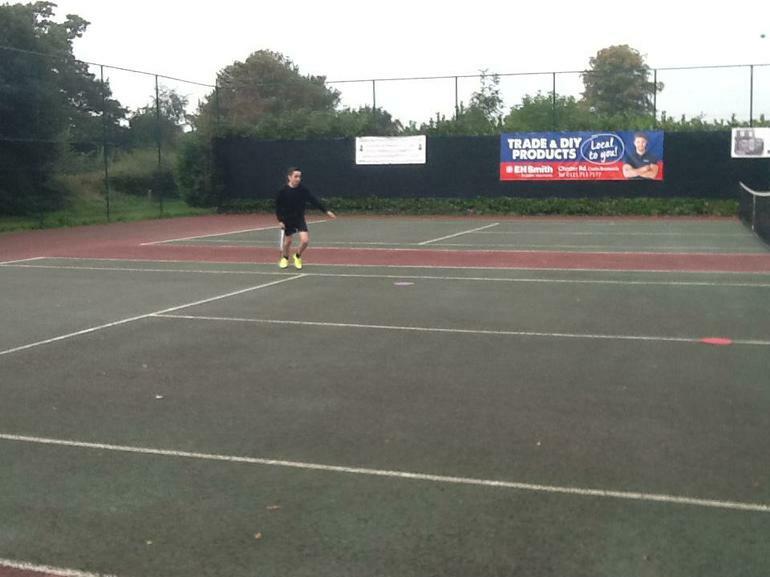 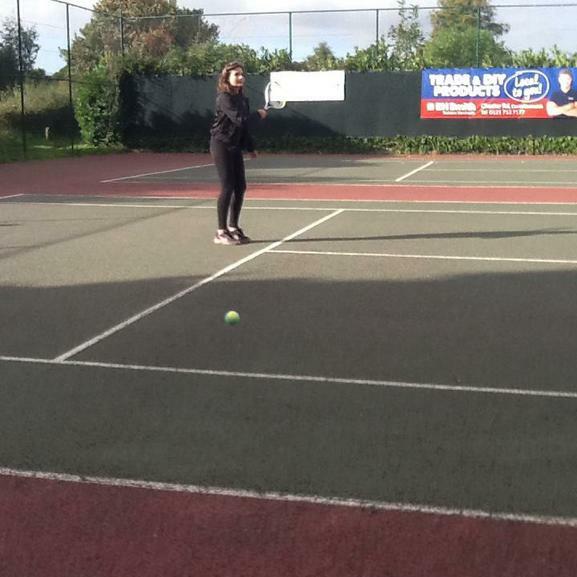 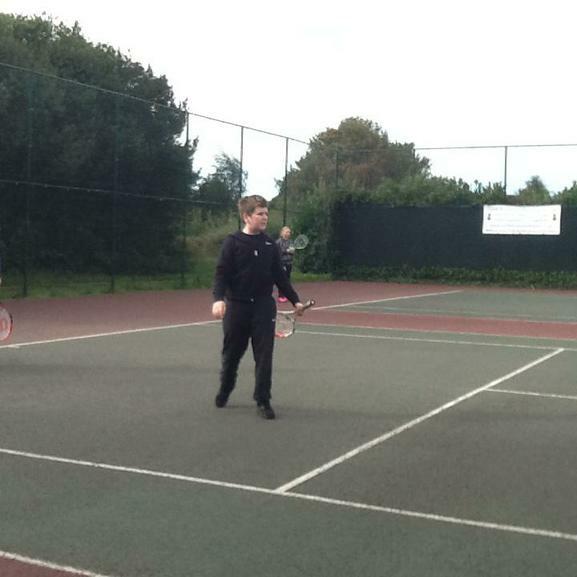 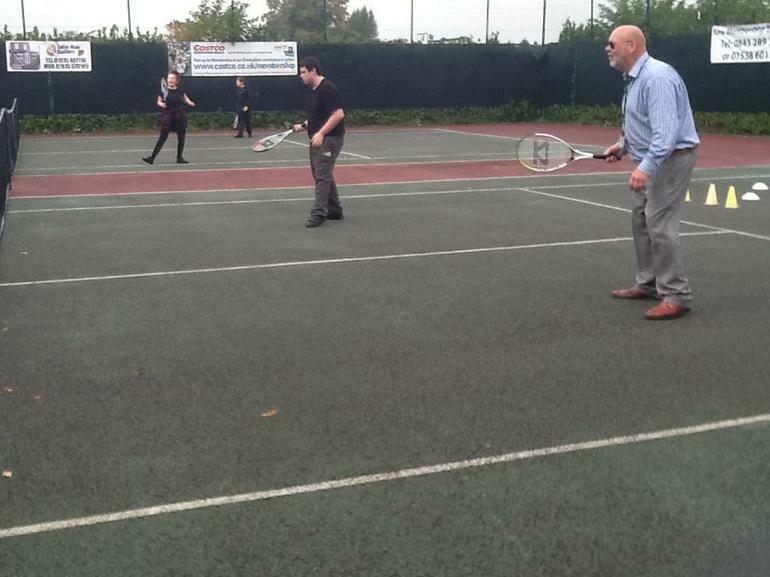 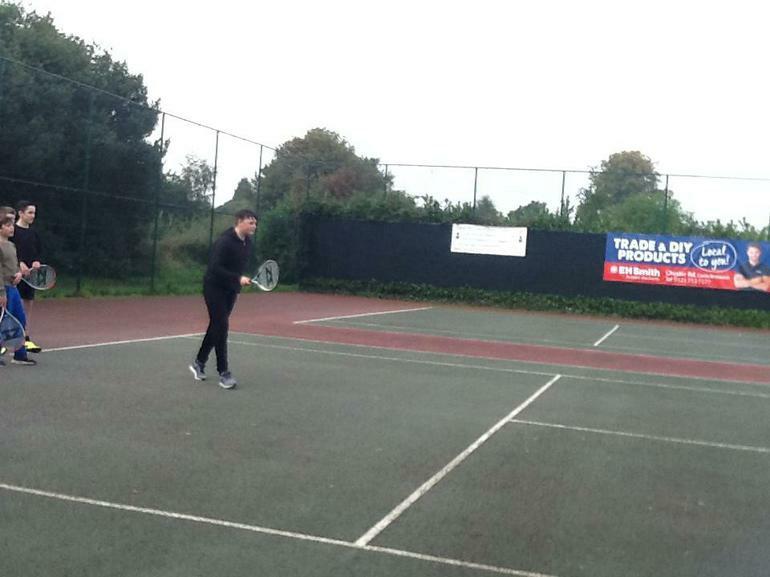 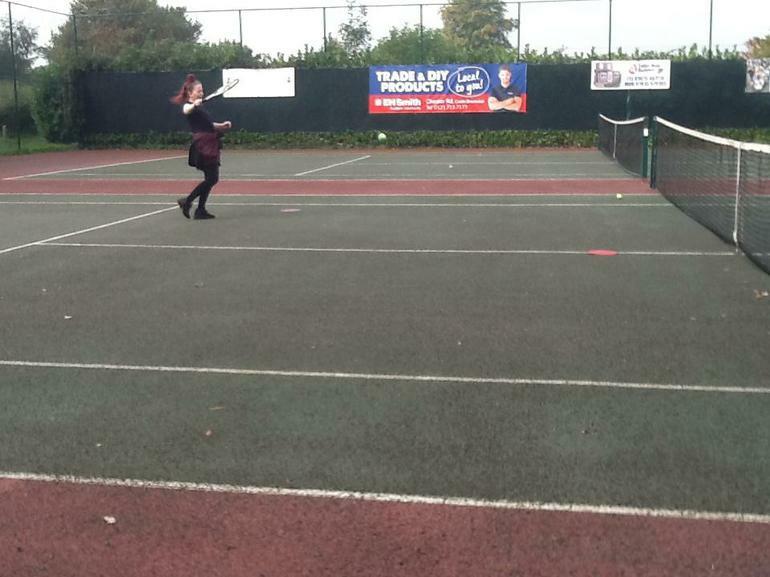 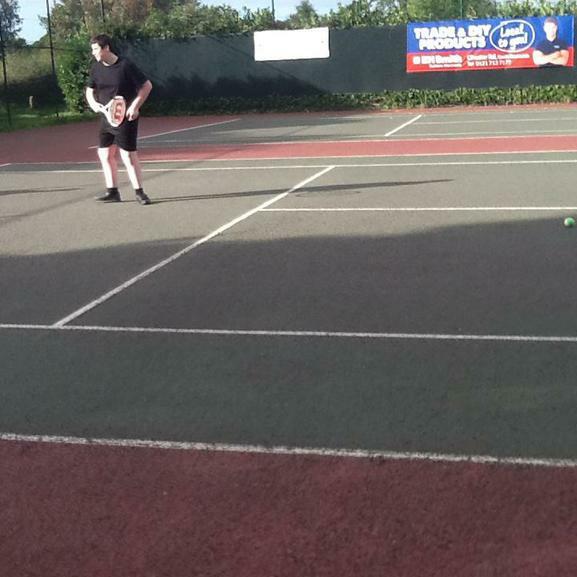 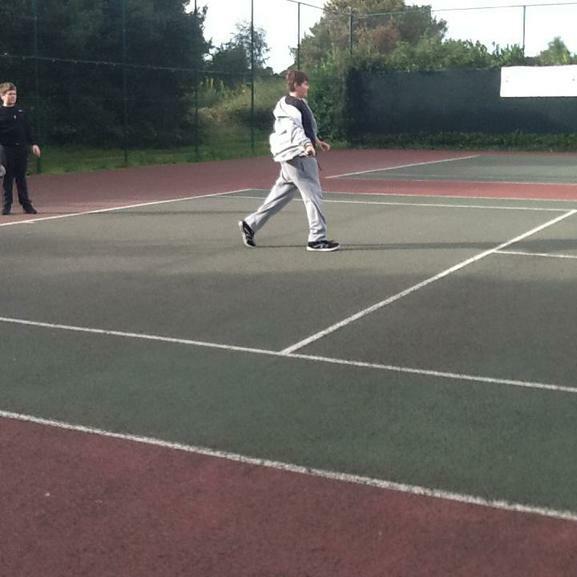 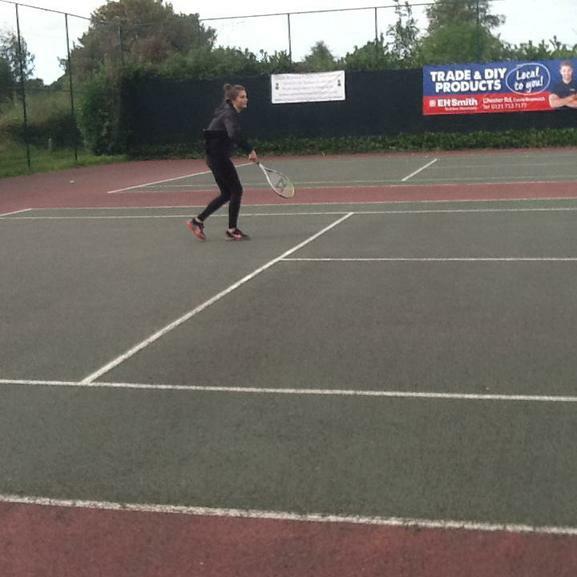 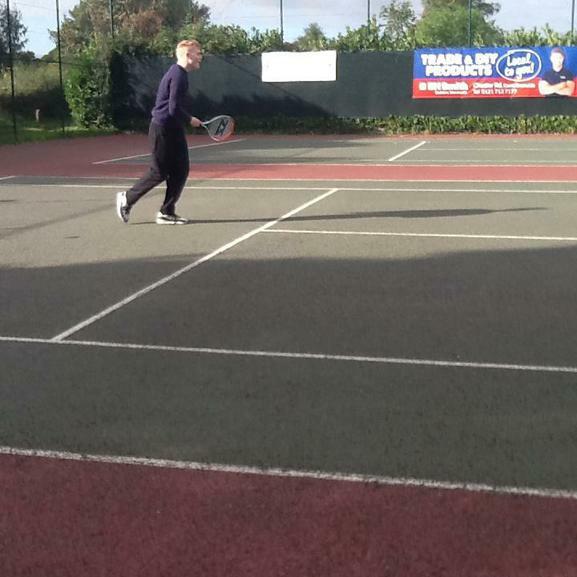 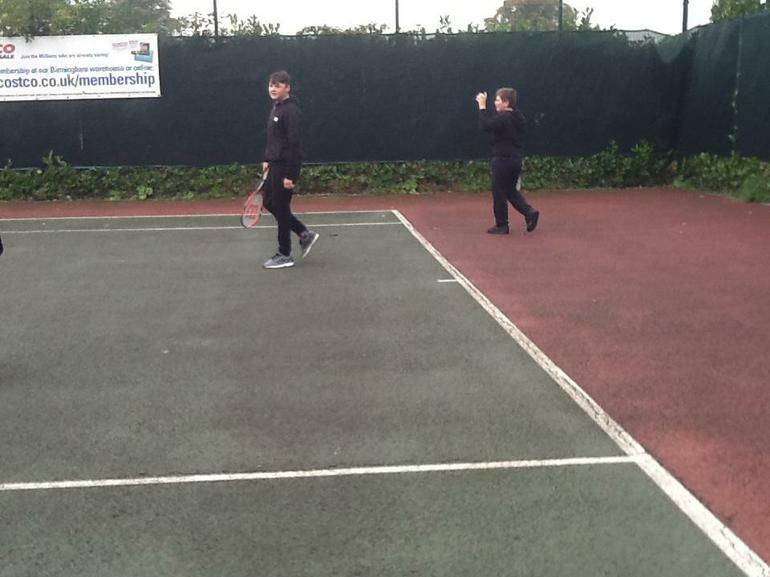 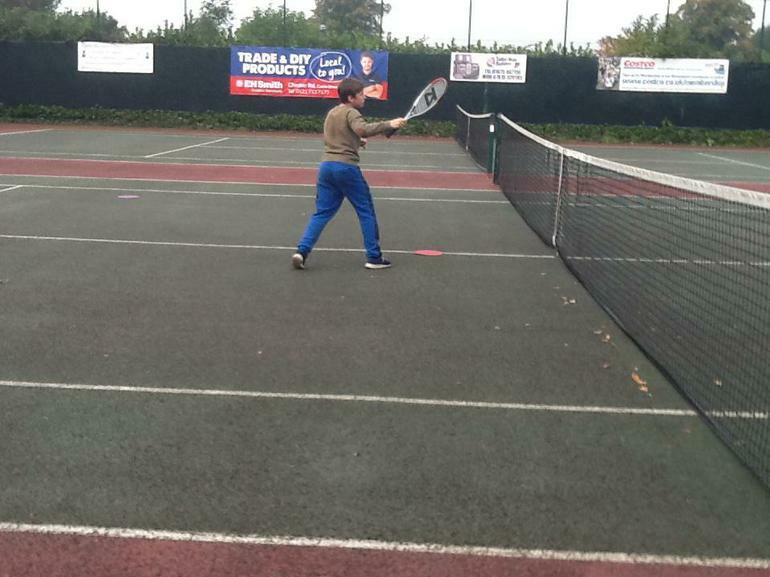 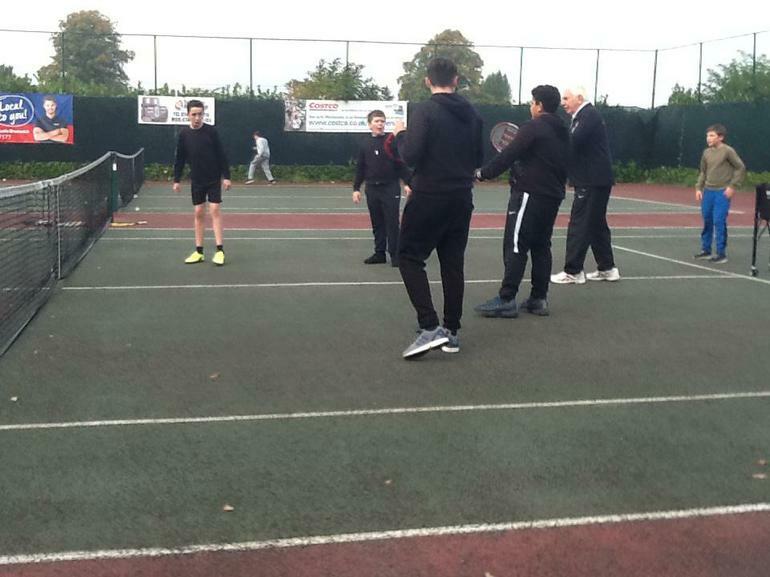 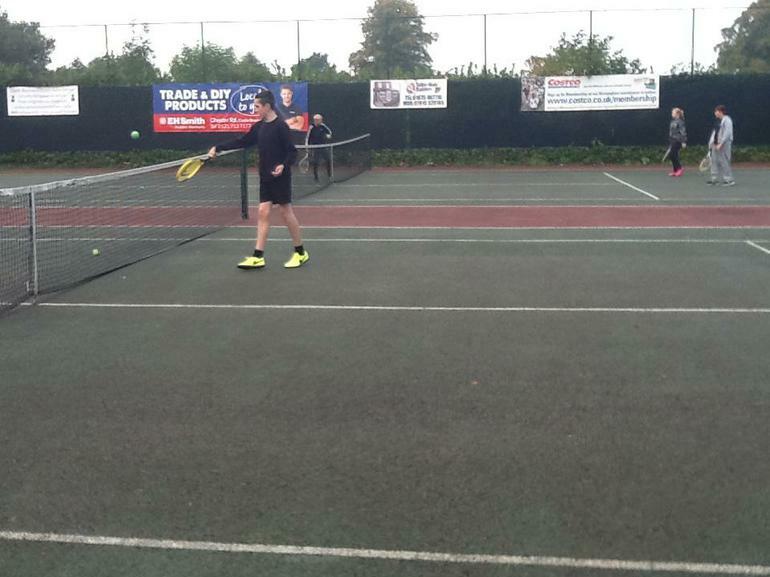 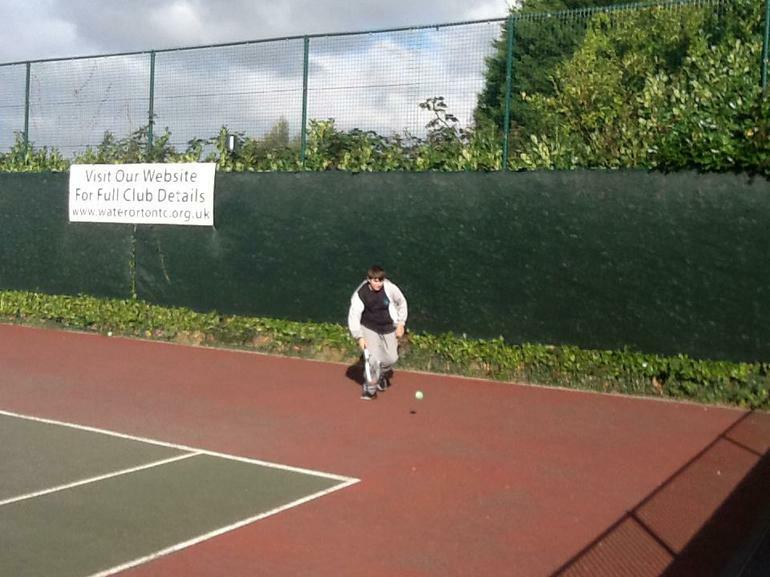 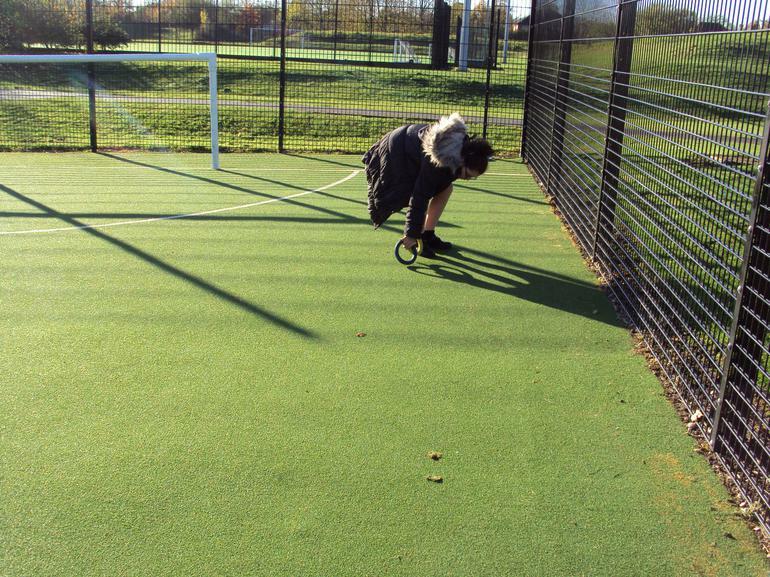 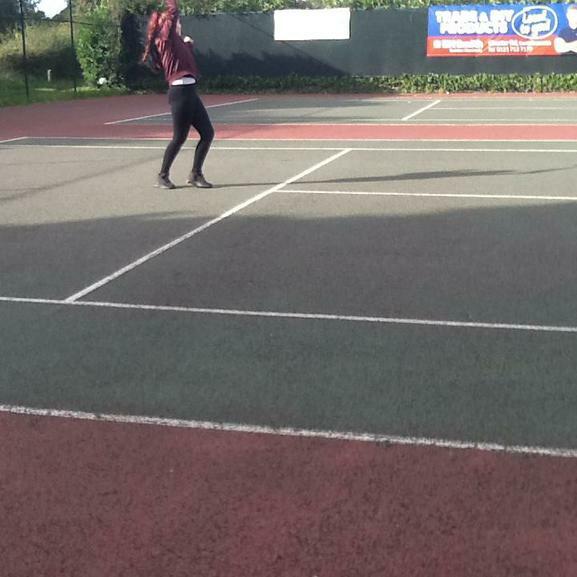 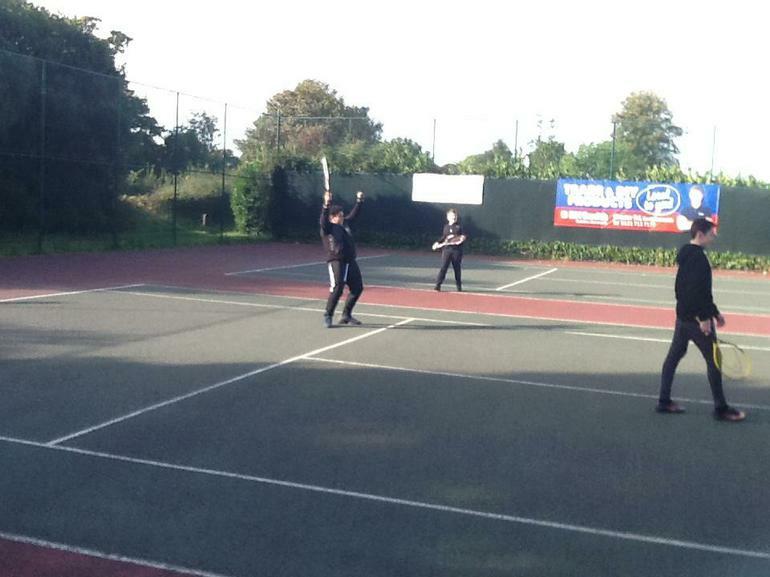 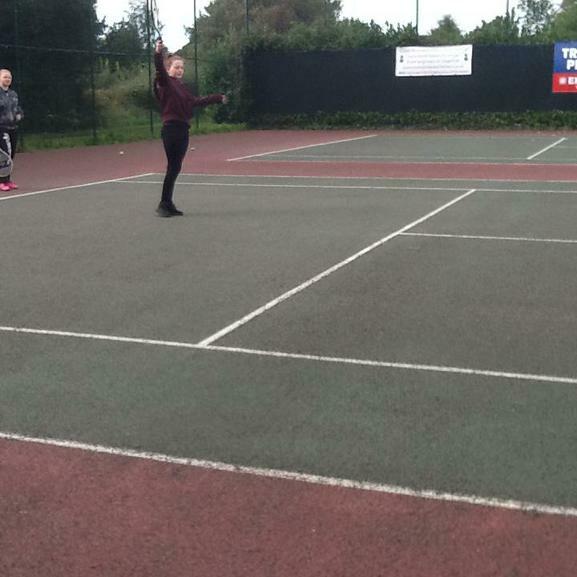 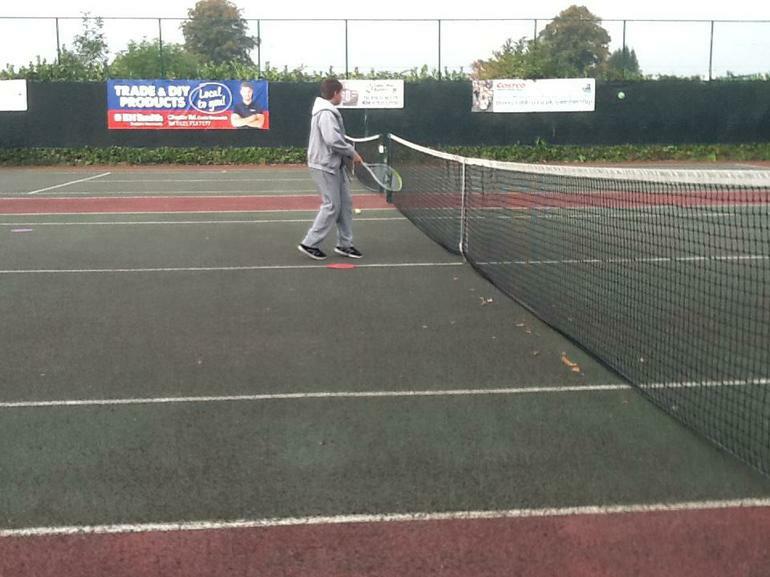 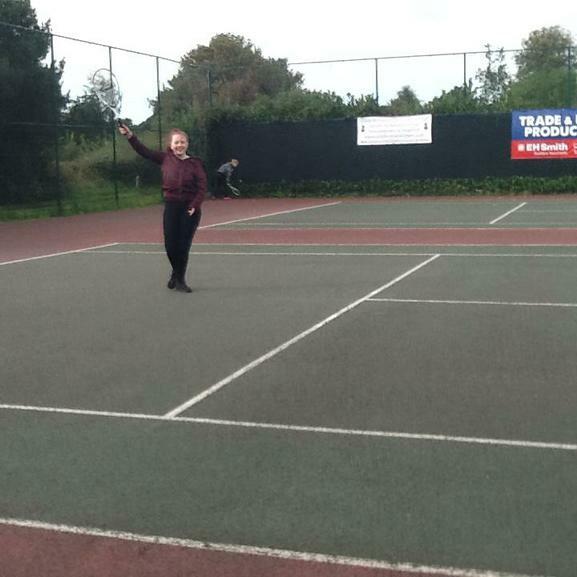 On Tuesday mornings last term we had the opportunity to use the facilities at Water Orton Tennis Club. 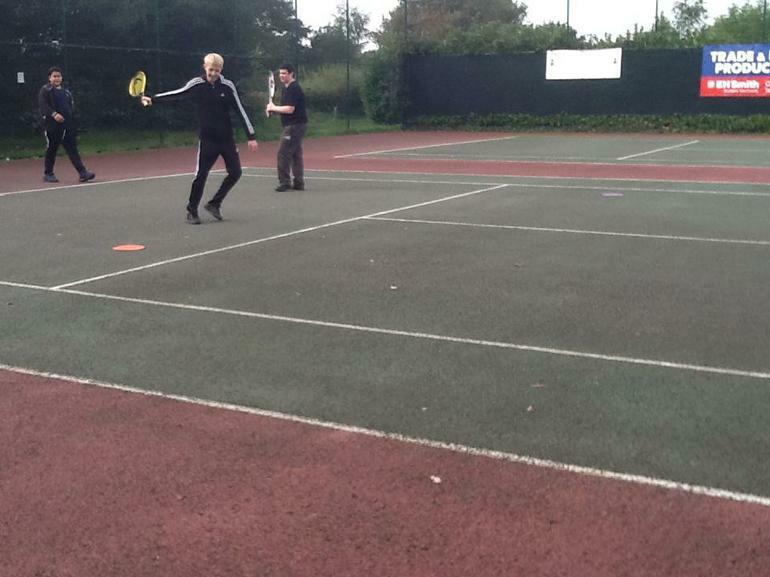 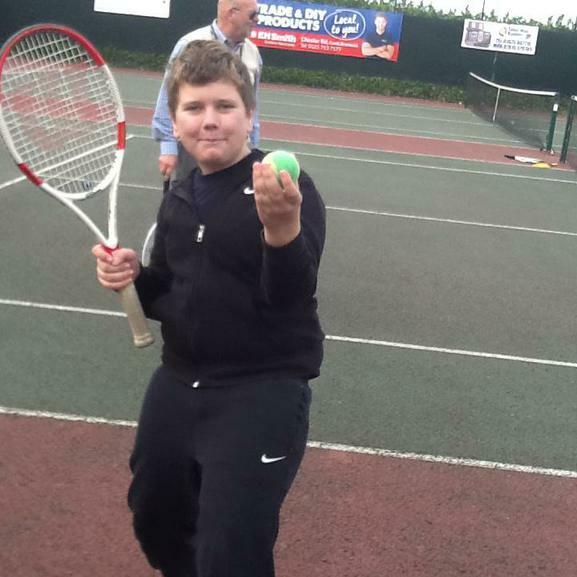 The children were coached by Paul who over the weeks taught them the basic tennis strokes. 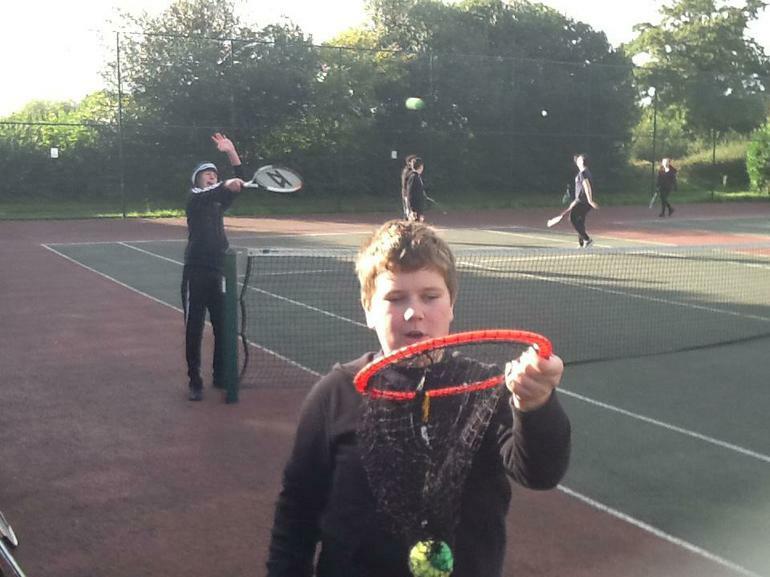 By the end of term the children's tennis skills had greatly improved. 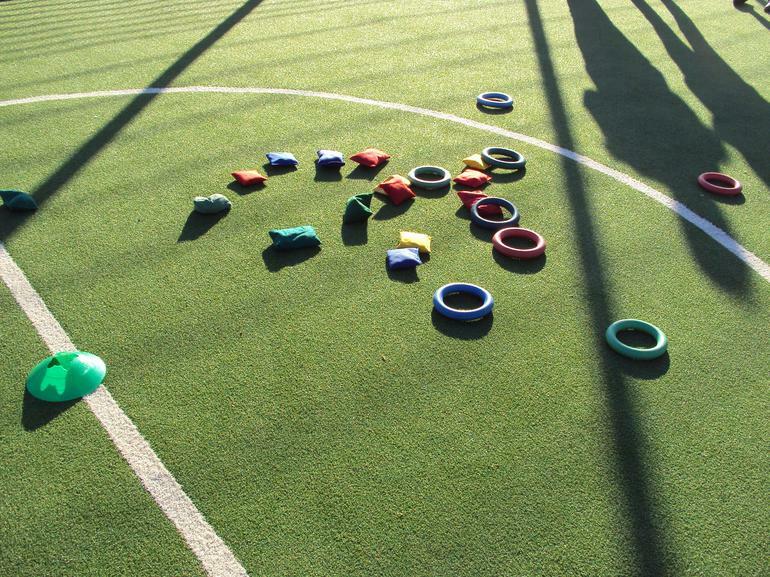 On the last day Paul presented the children with a certificate and medals were awarded to the three highest scorers. 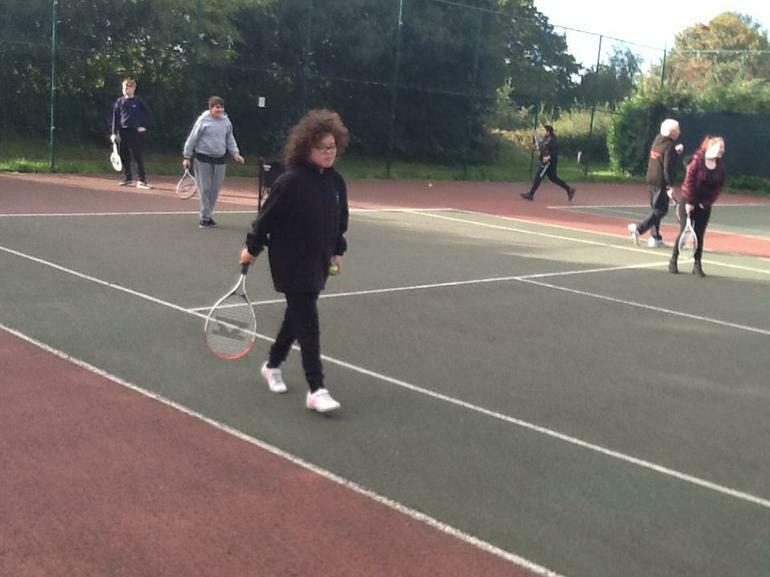 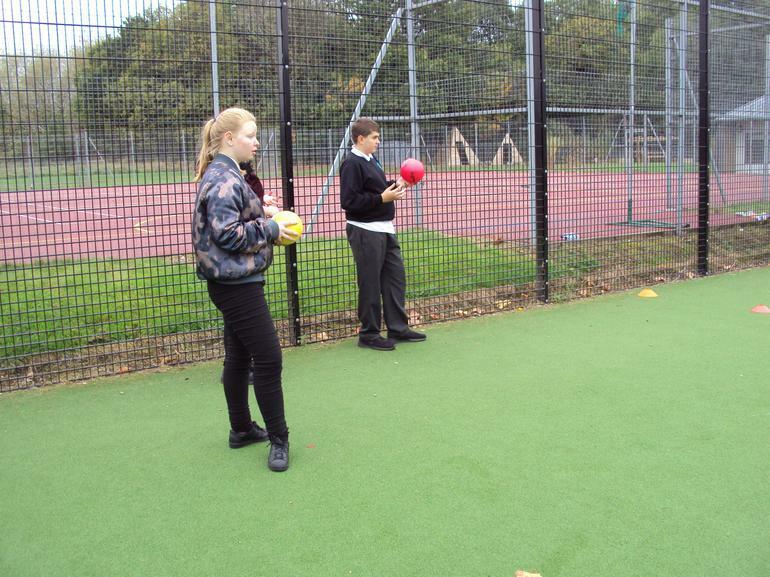 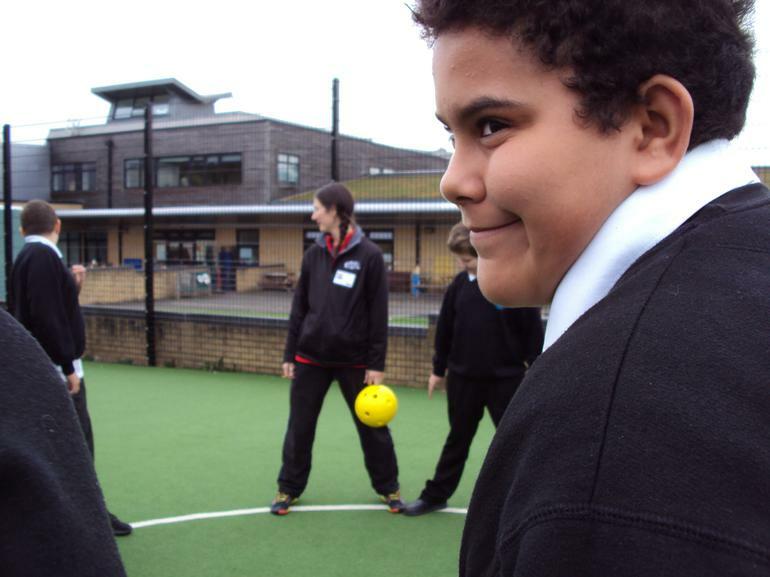 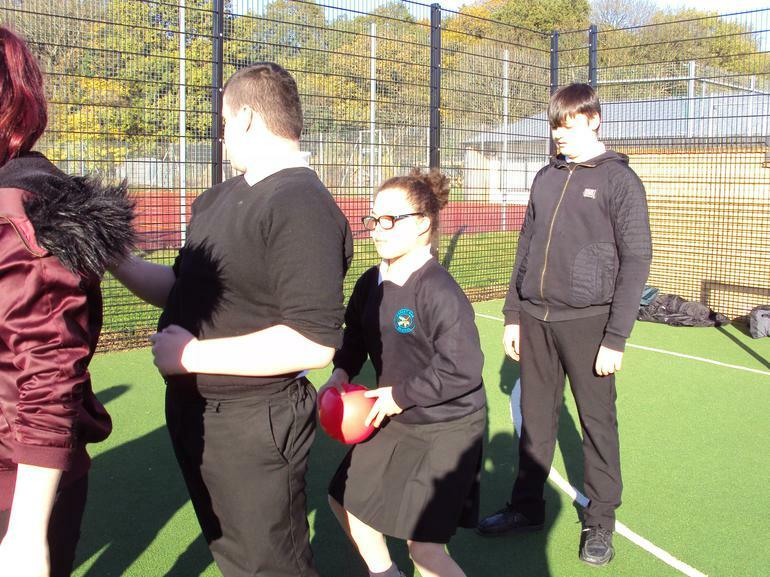 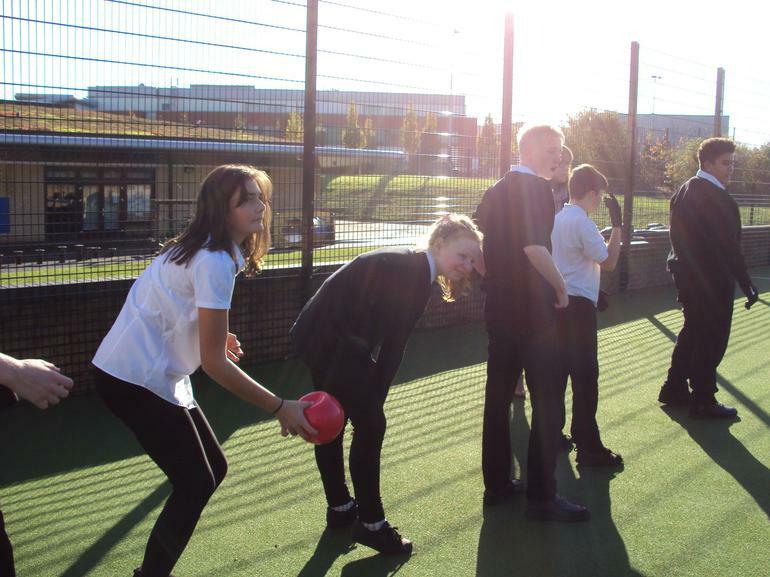 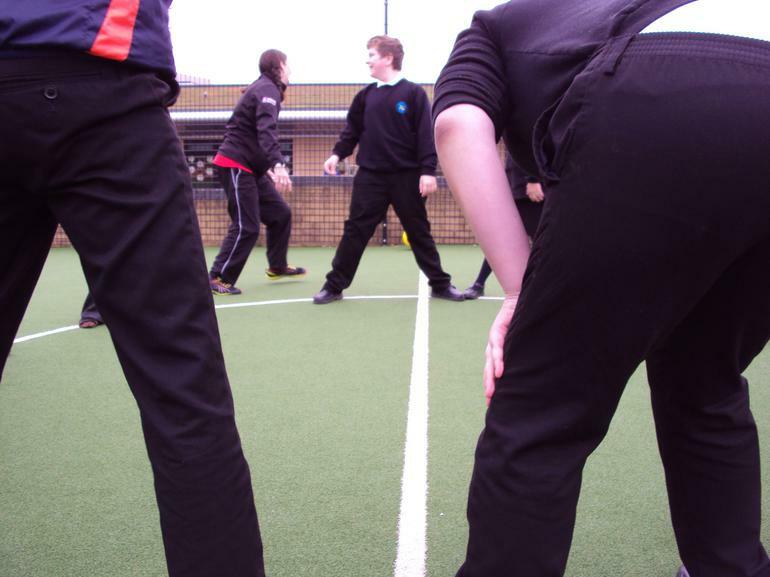 During the Autumn term, we are taking part in a project organised by Solihull Active. 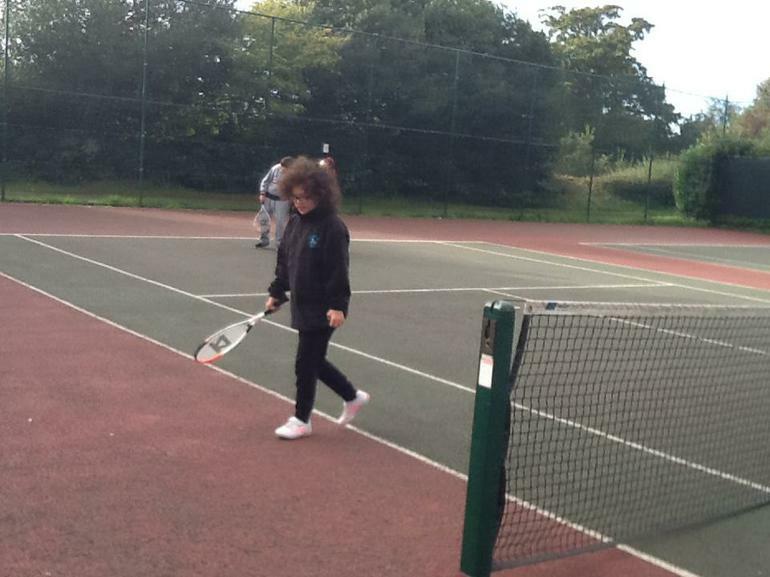 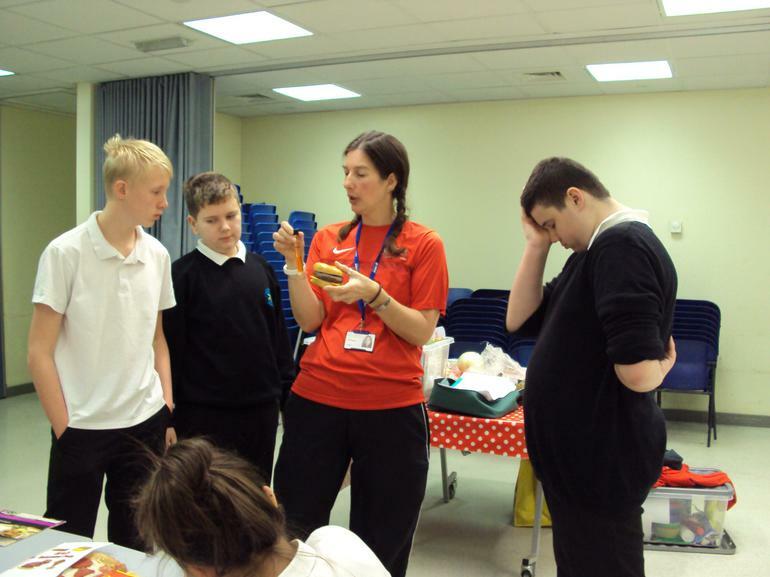 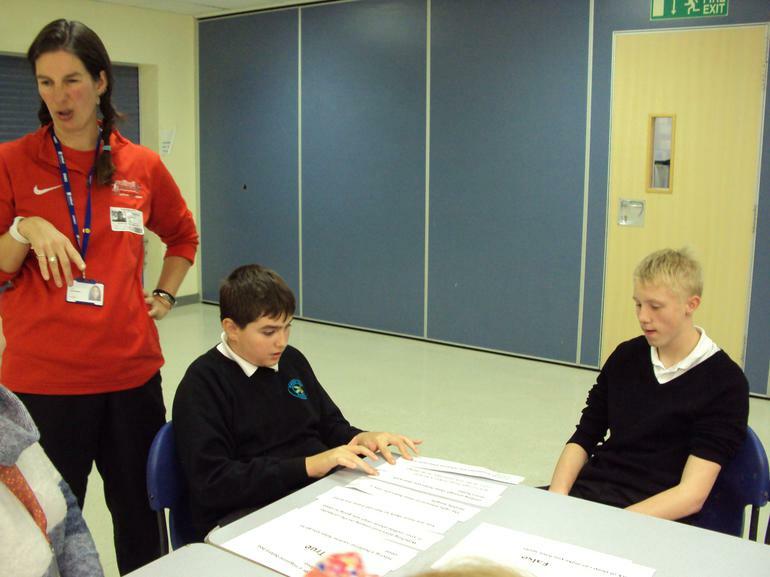 Every Wednesday morning Julia has been working with us to find out about how we can stay active and eat healthily. 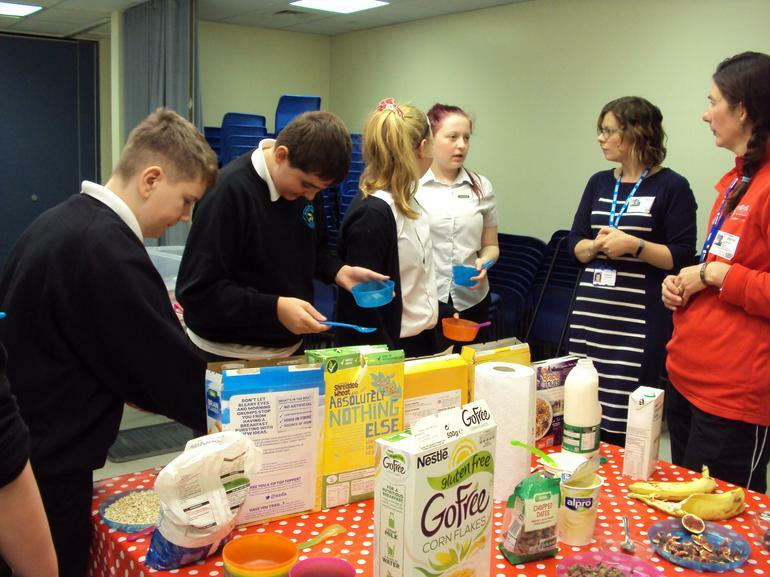 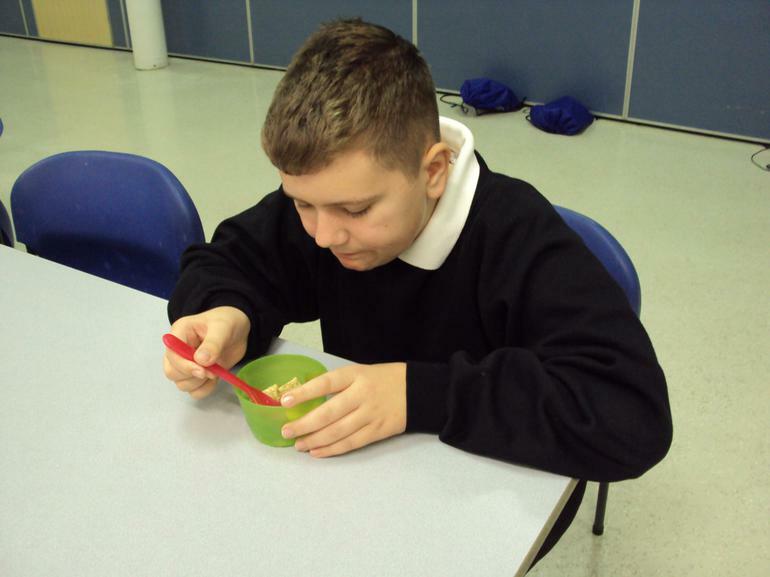 On alternate weeks we are finding out about nutrition and how to have a healthy diet. 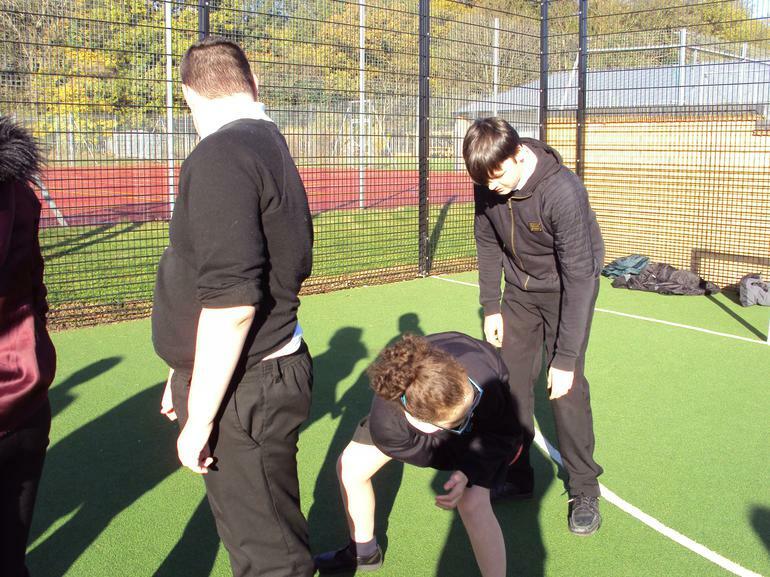 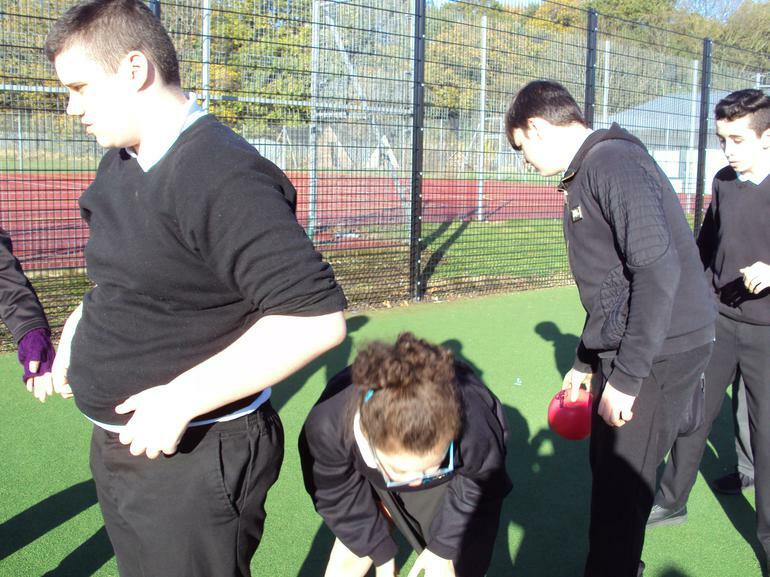 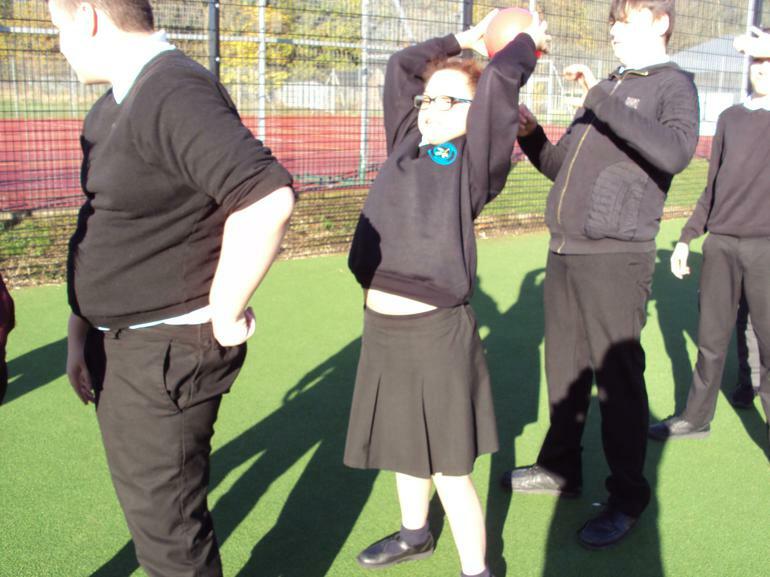 Then, during the other weeks we are taking part in physical activities to help us learn how to become fit and work together to stay healthy. 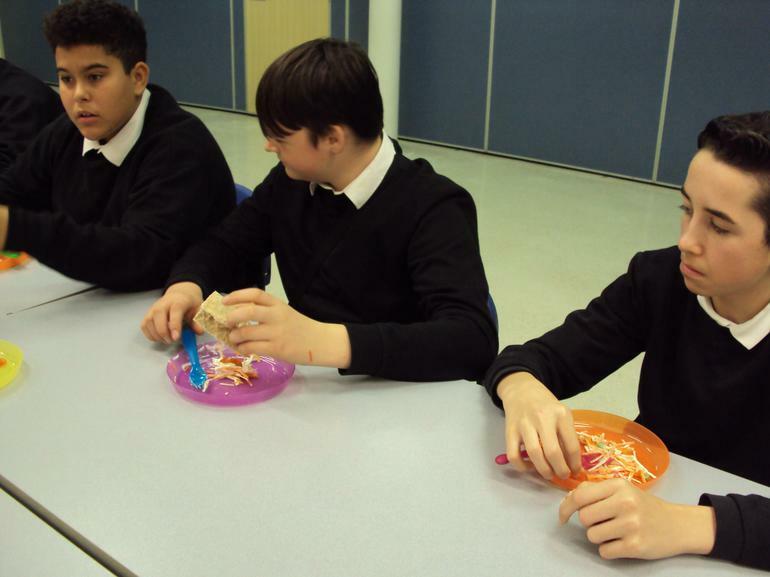 Hope you enjoy our pictures! 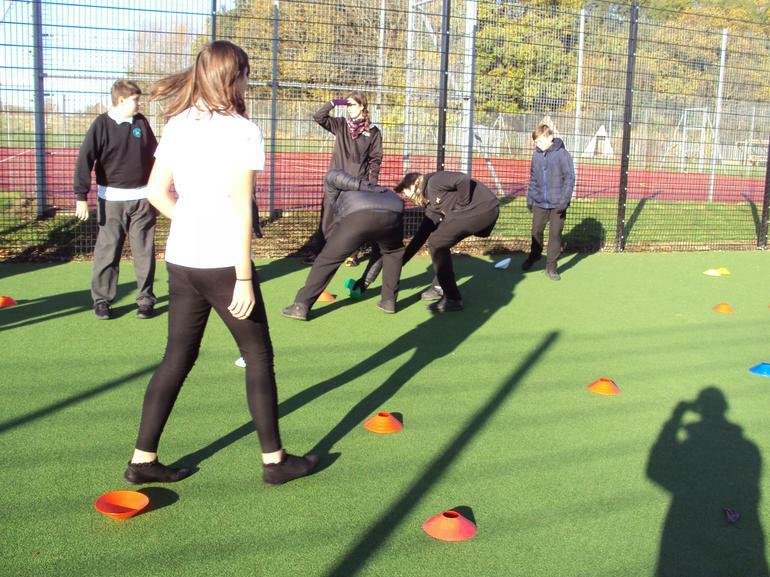 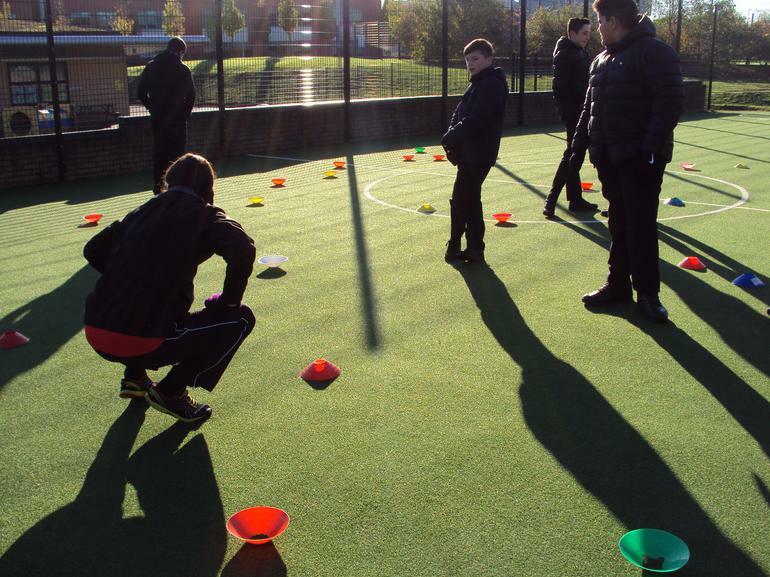 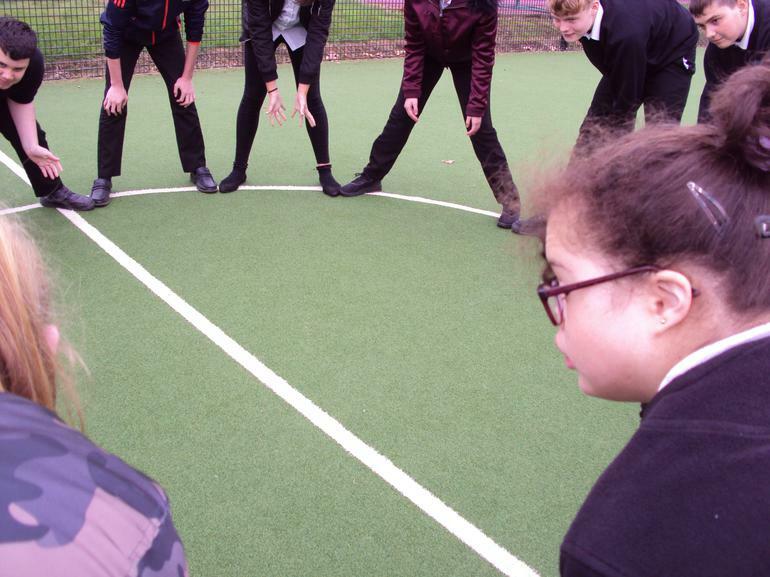 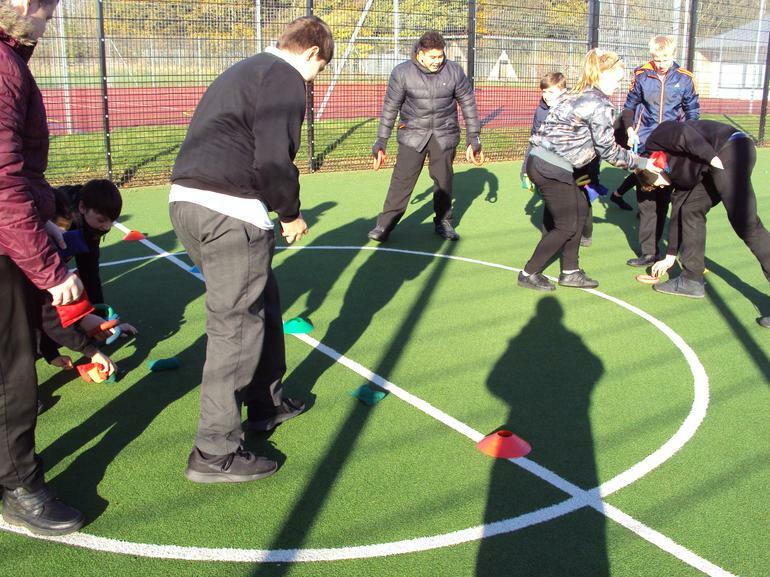 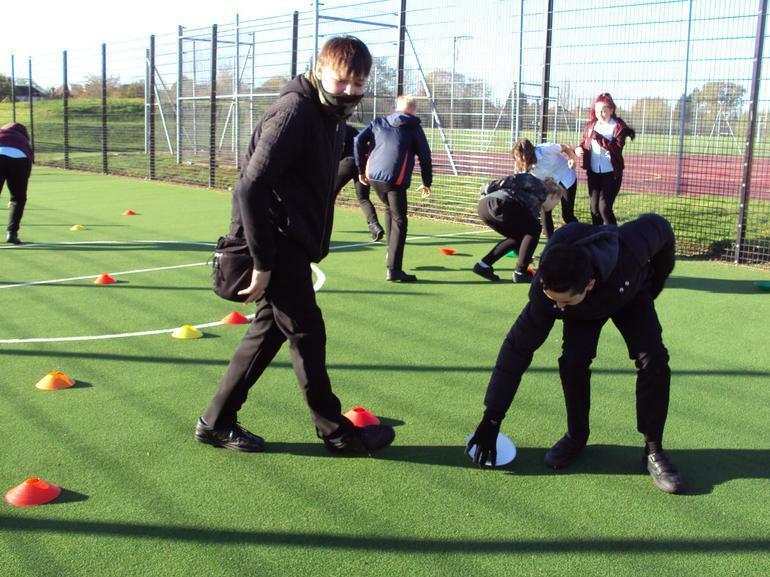 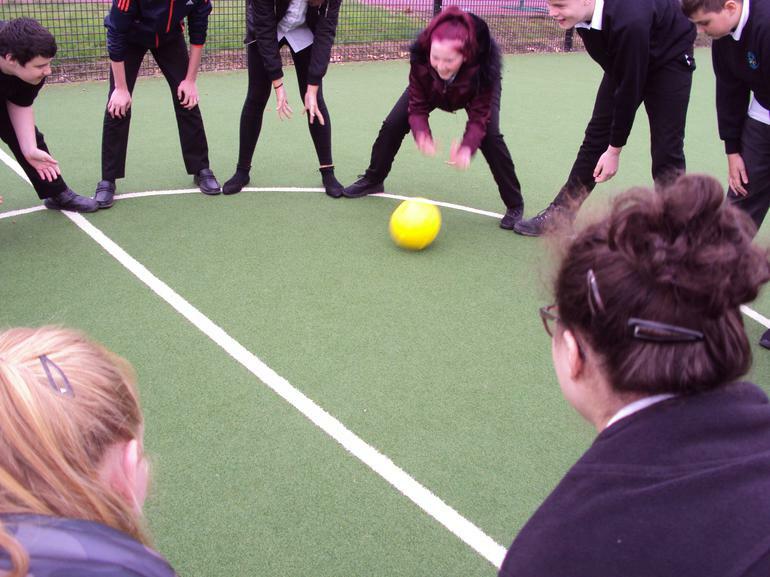 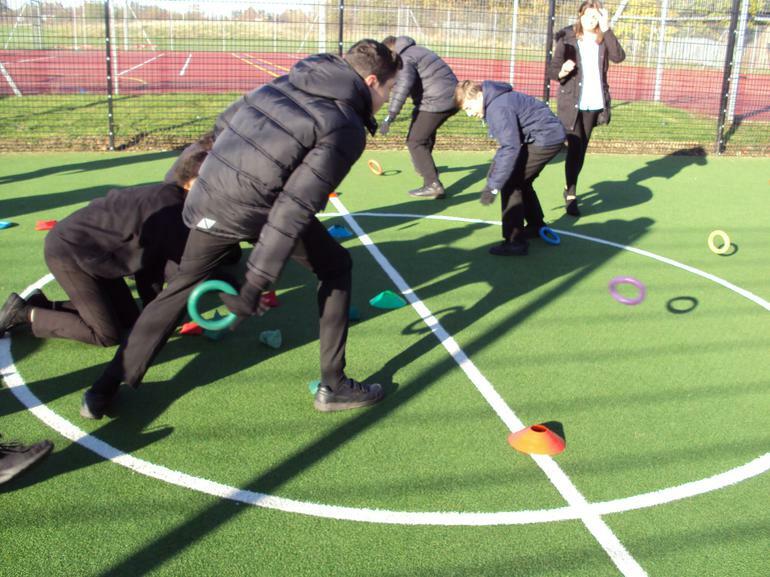 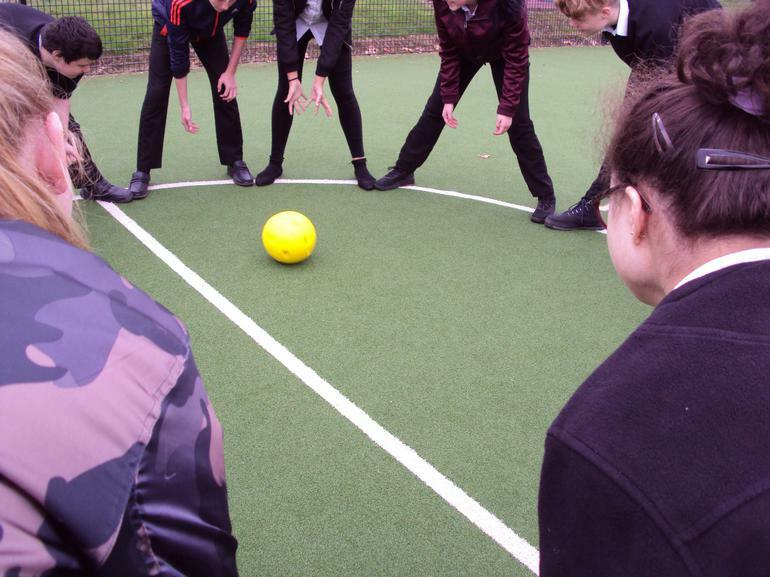 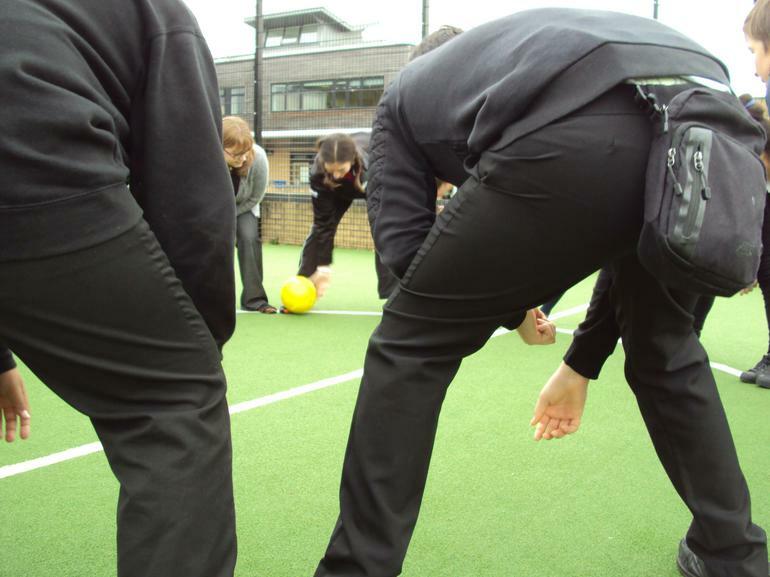 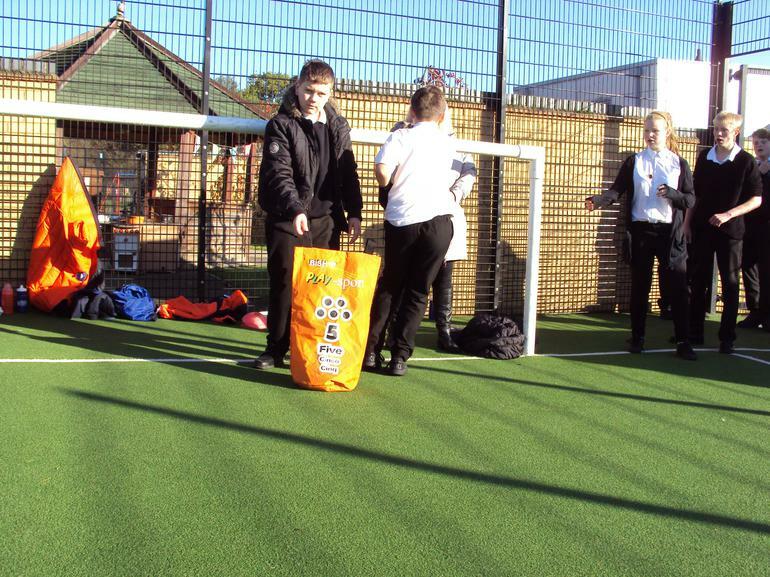 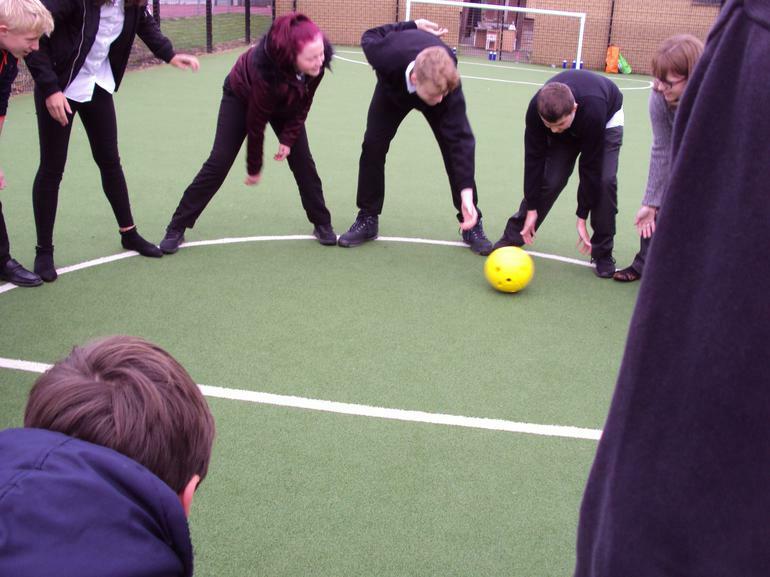 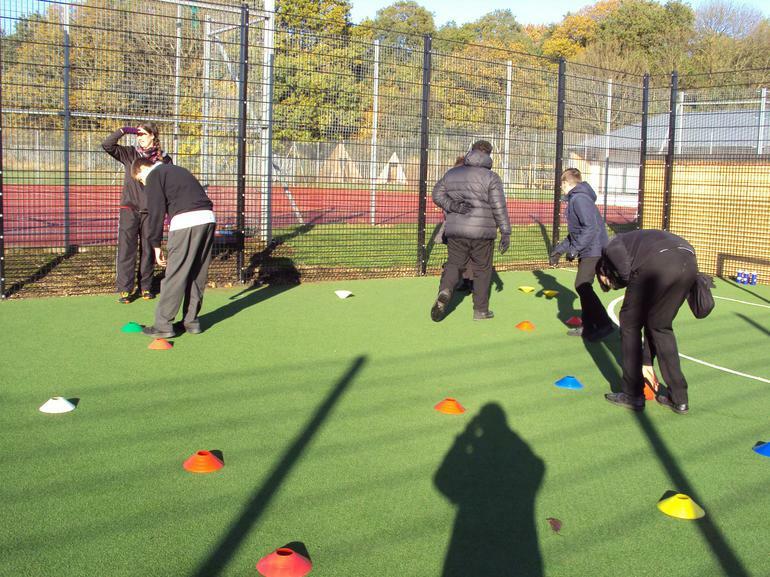 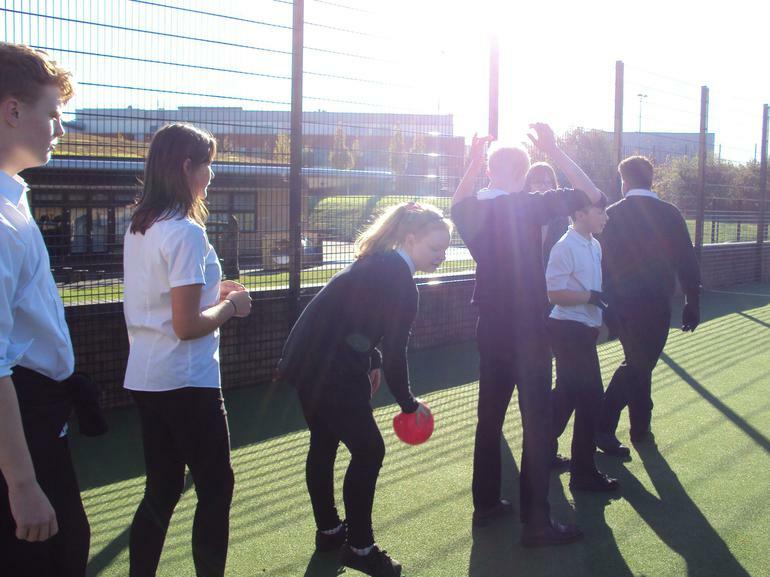 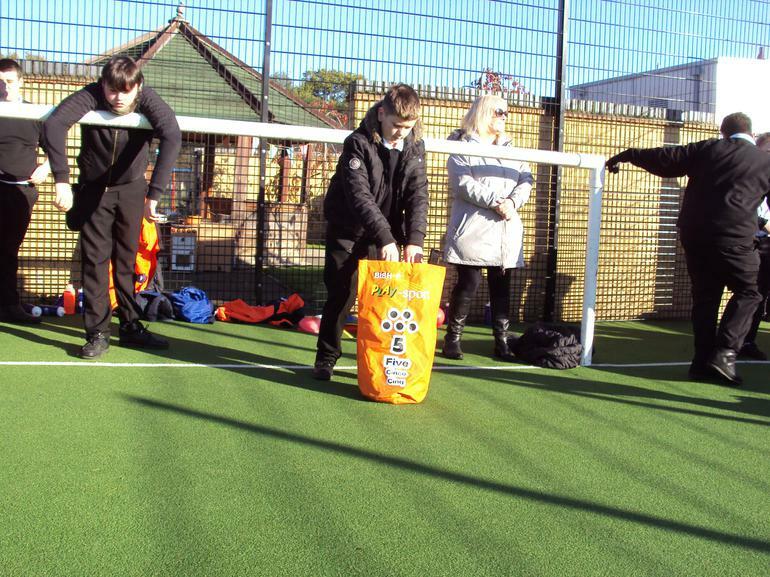 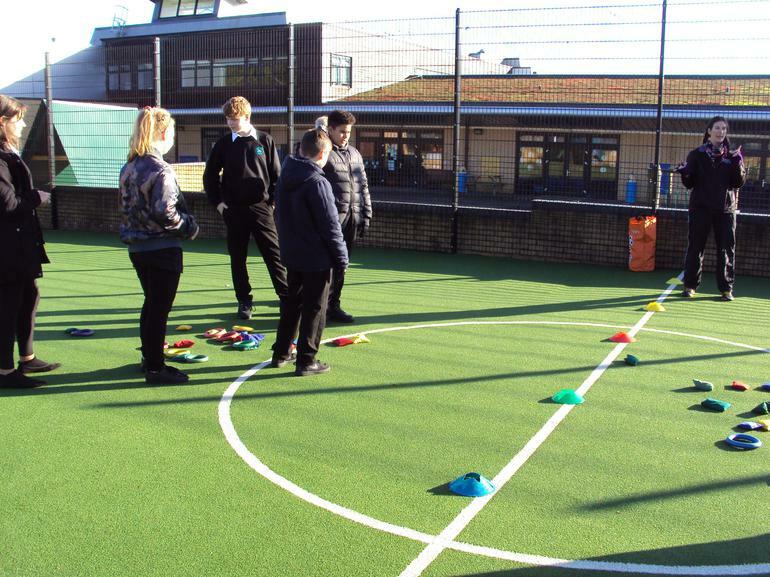 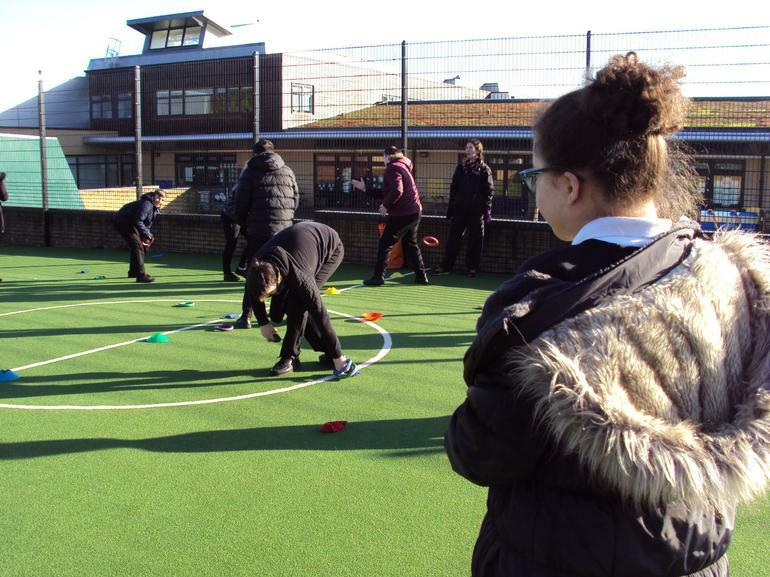 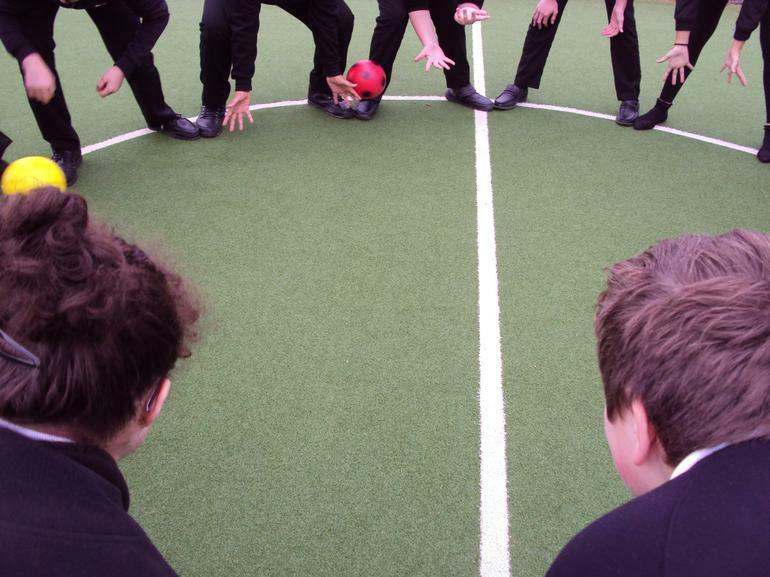 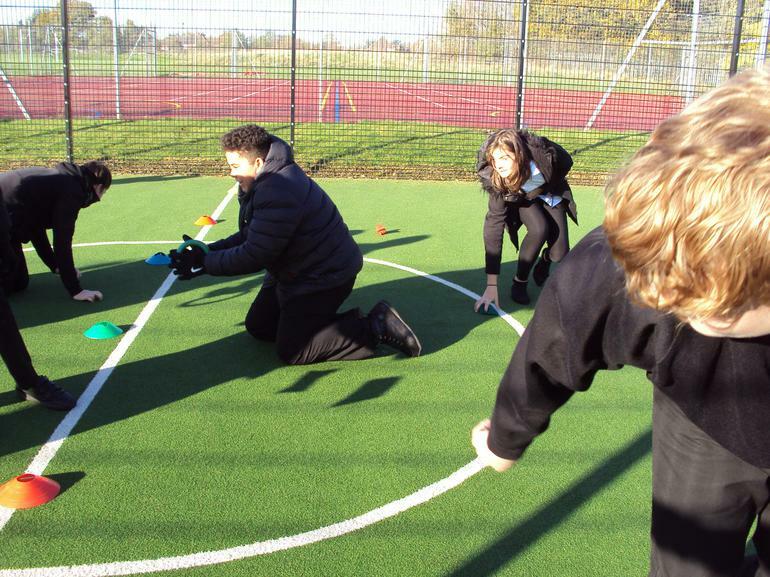 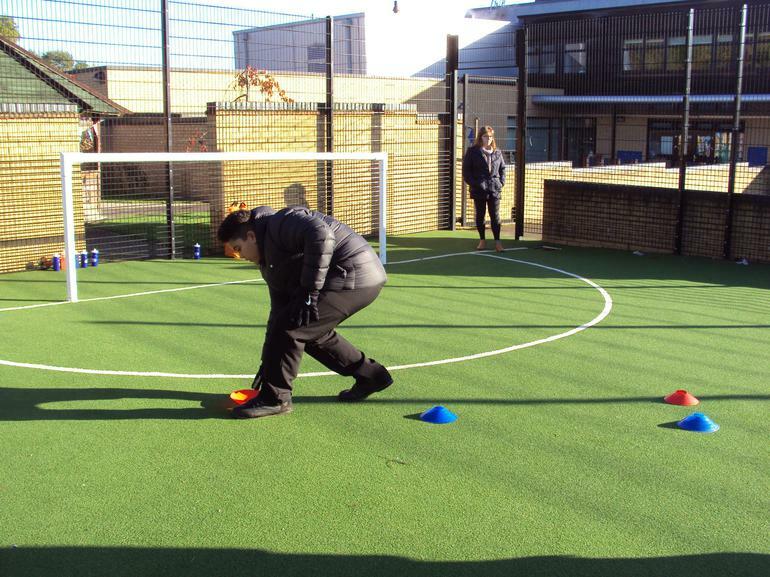 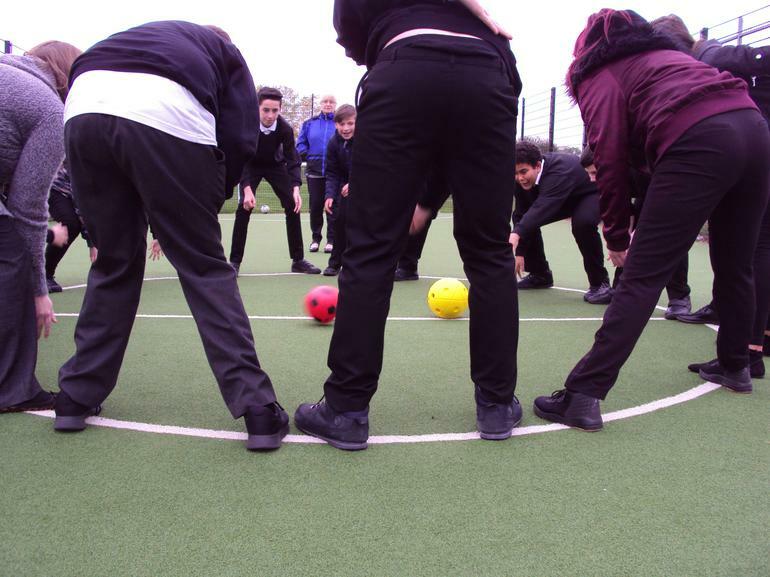 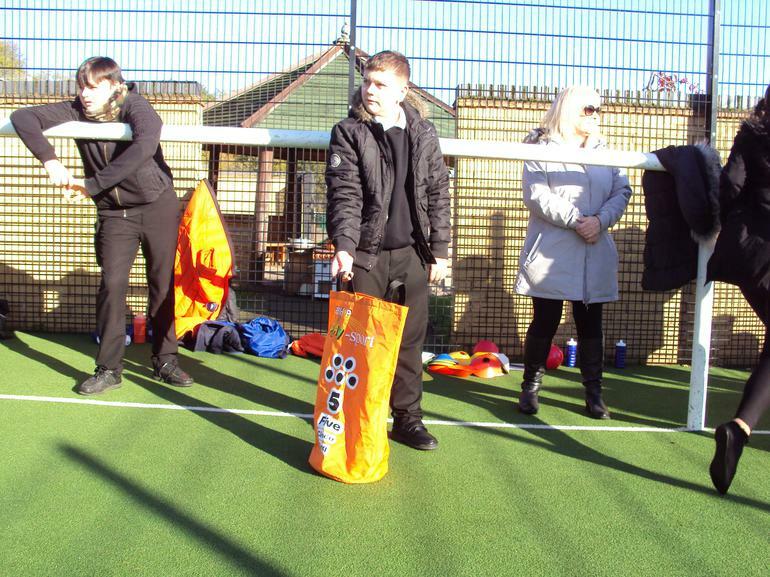 Today , 8th November 2017 Julia from Solihull Active took us outside onto KS2 football pitch. 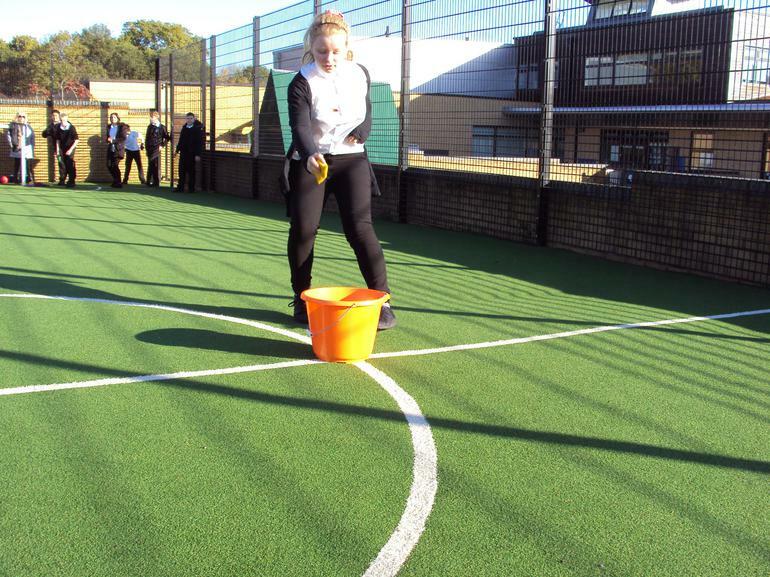 She had lots of equipment such as cones, bean bags and hoops. 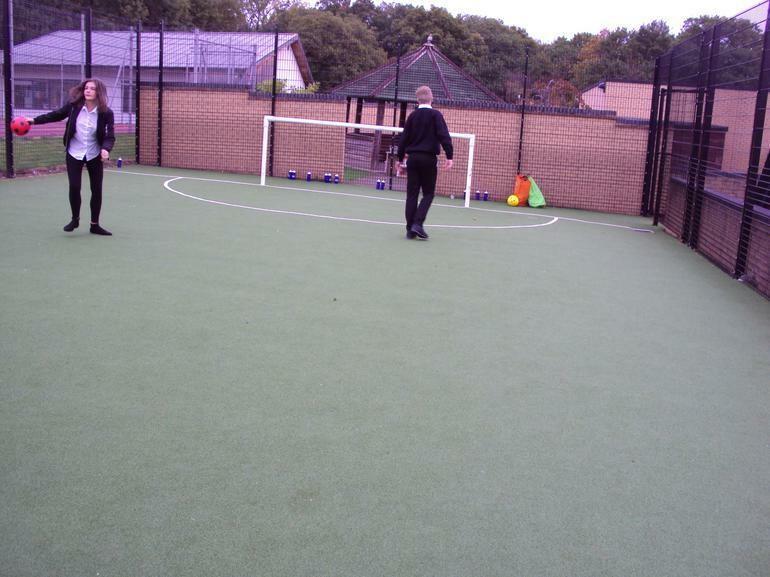 During this session we played lots of team games. 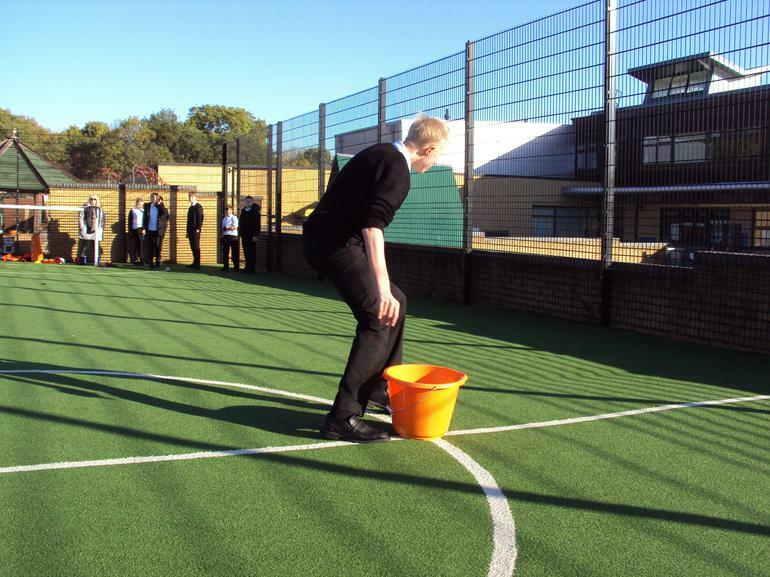 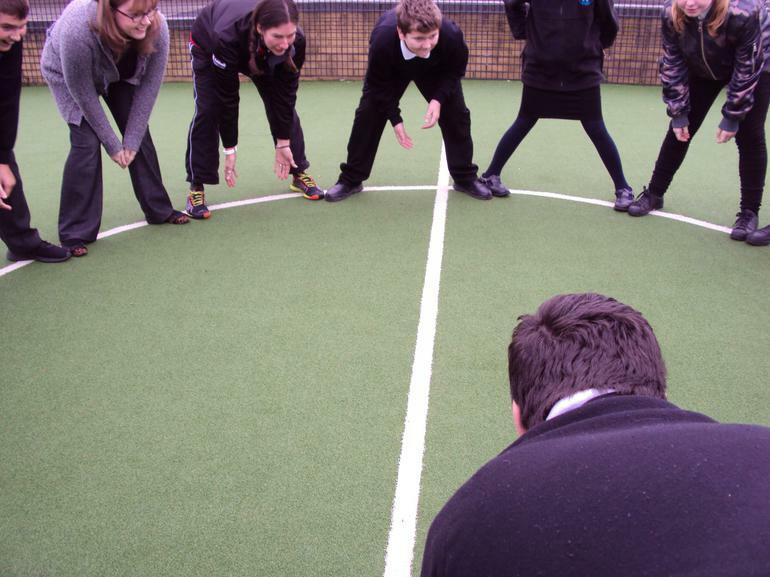 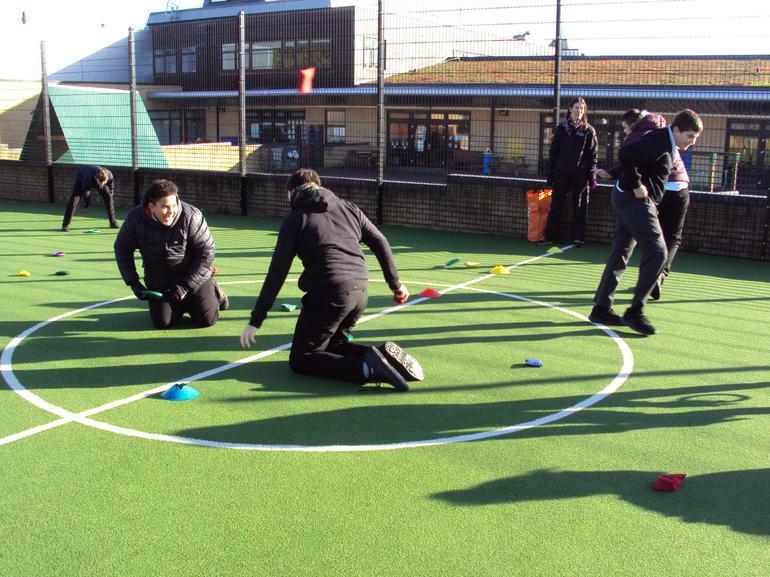 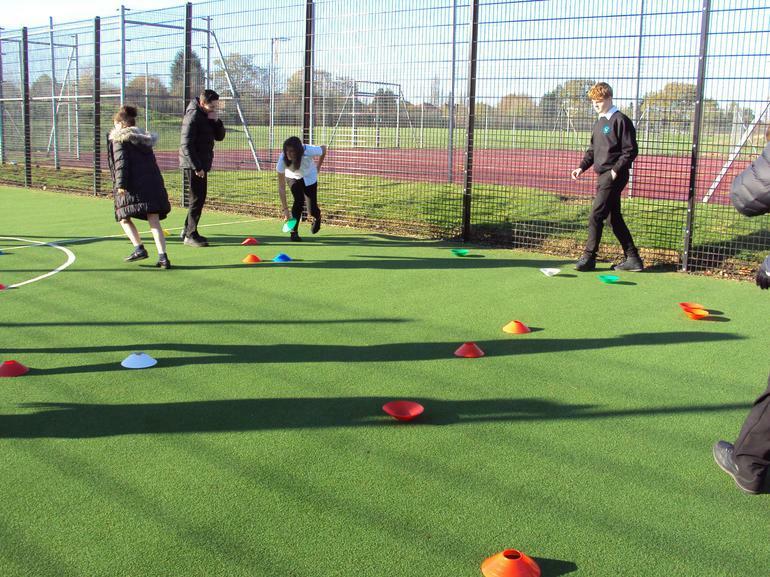 For example, we had to see which team was the quickest to turn over the cones. 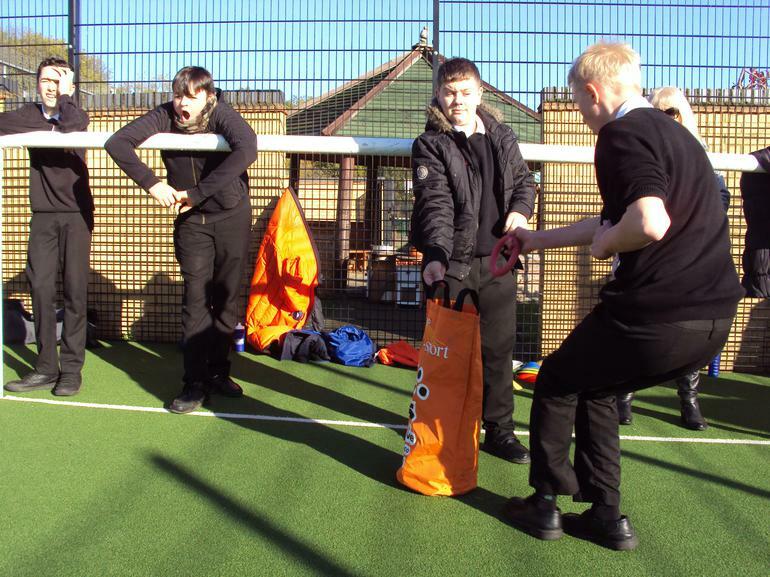 We also, had race games carrying the equipment from one place to another in the quickest time. 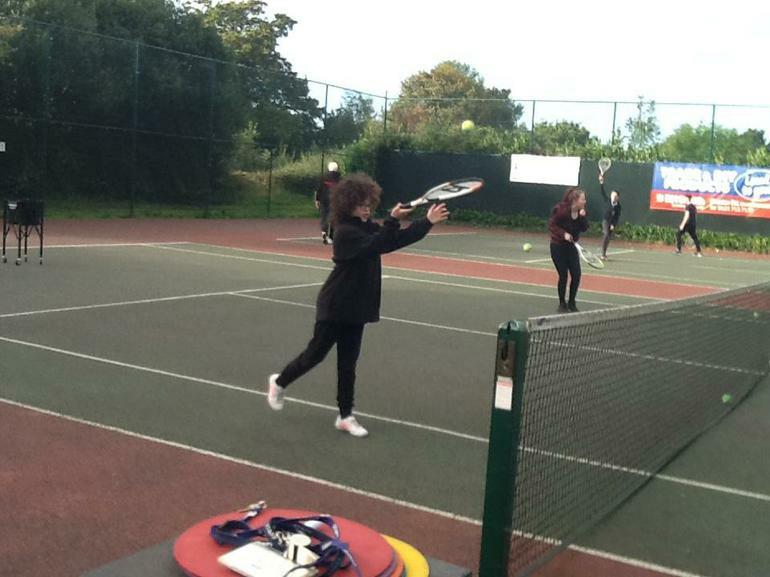 It was great fun and fortunately we had lovely sunny, but cold, weather. 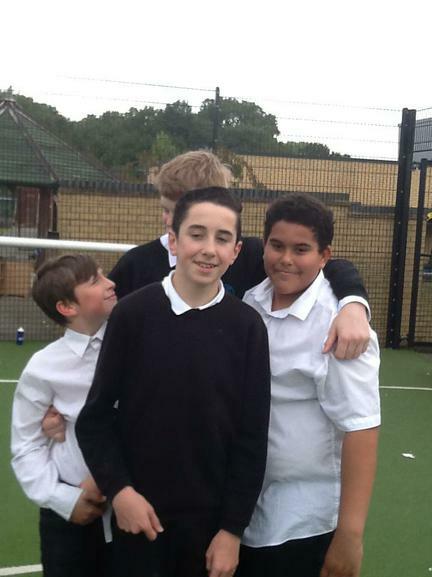 Hope you like out pictures !!!!!!!!! 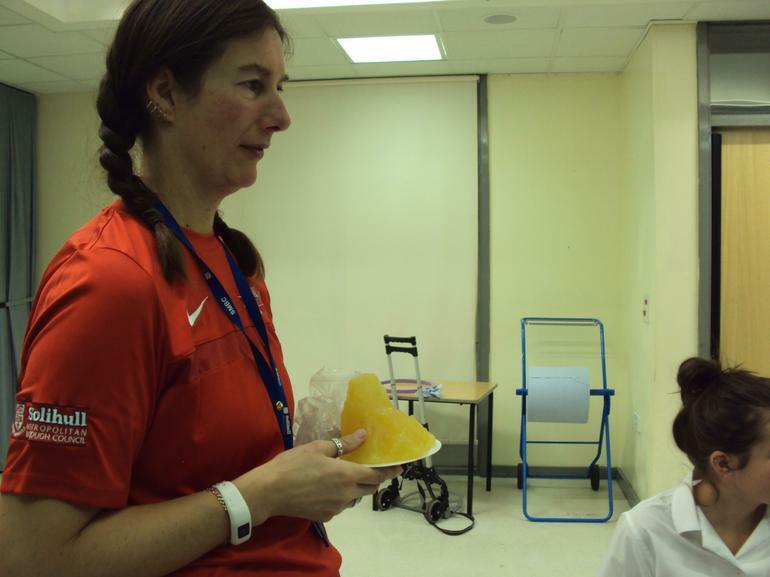 Today Julie from Solihull Active taught us about good and bad fats in our diet. 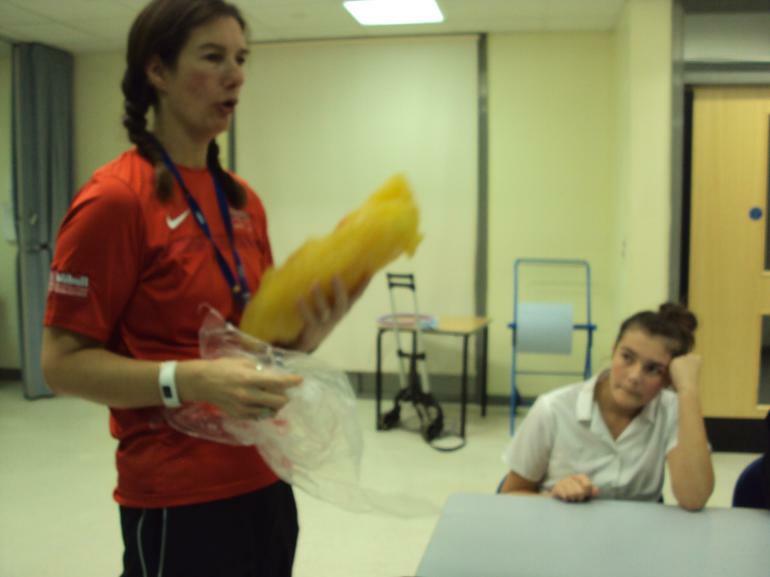 She explained how the foods we eat contain different types of fats and how these fats can affect our bodies. 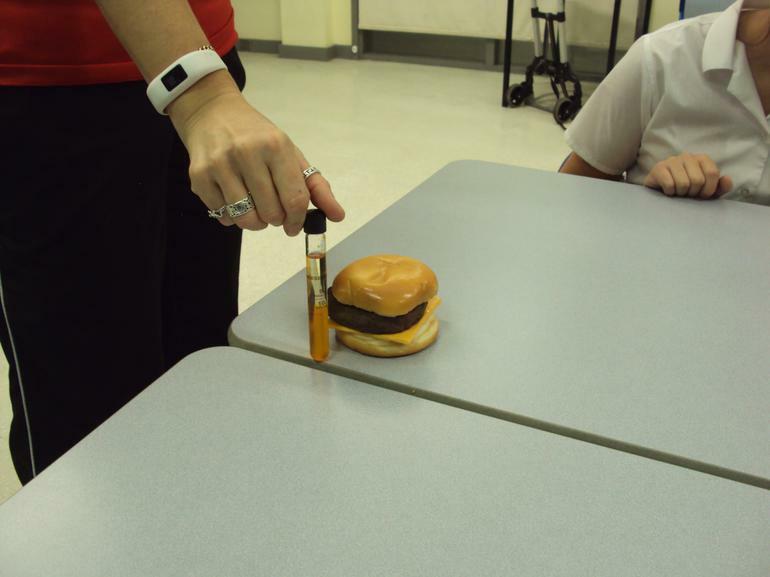 She said it is better for our health to stay away from (solid) bad fats and replace it with (unsaturated) good fats to ensure blood cholesterol readings are at a level to avoid poor health. 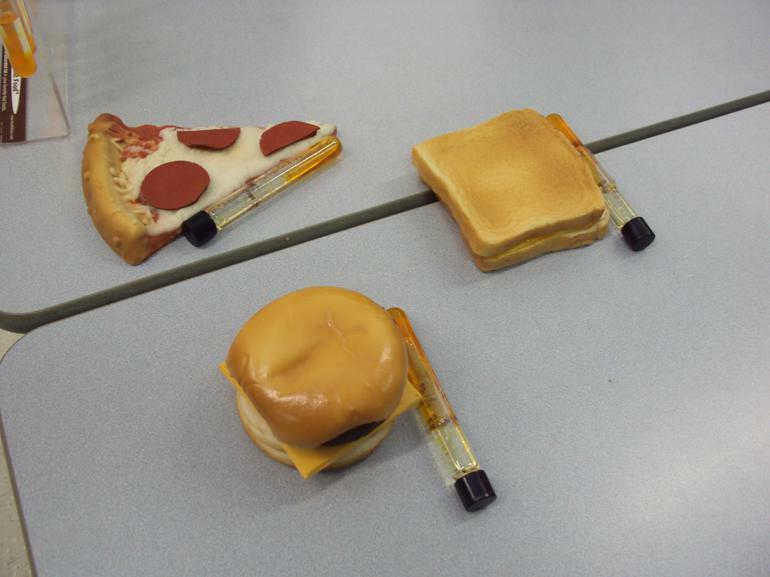 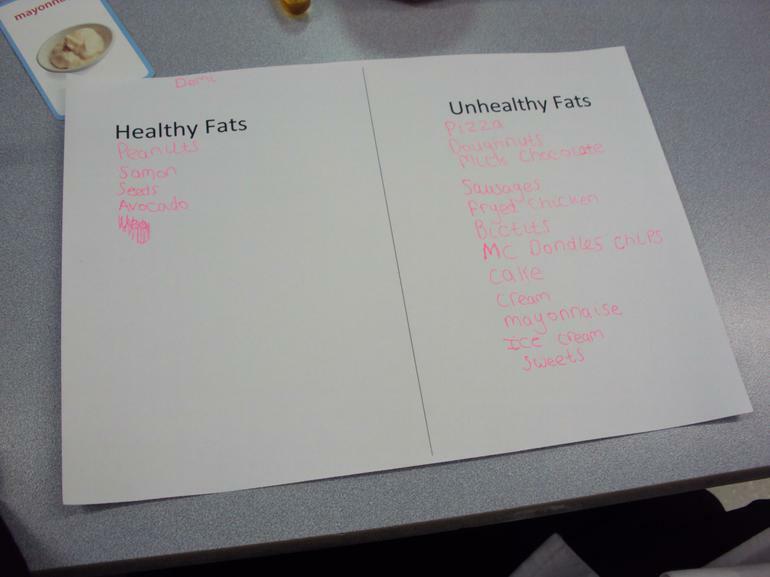 Also, during this session we had to list foods that contained good fats and foods that contained bad fats. 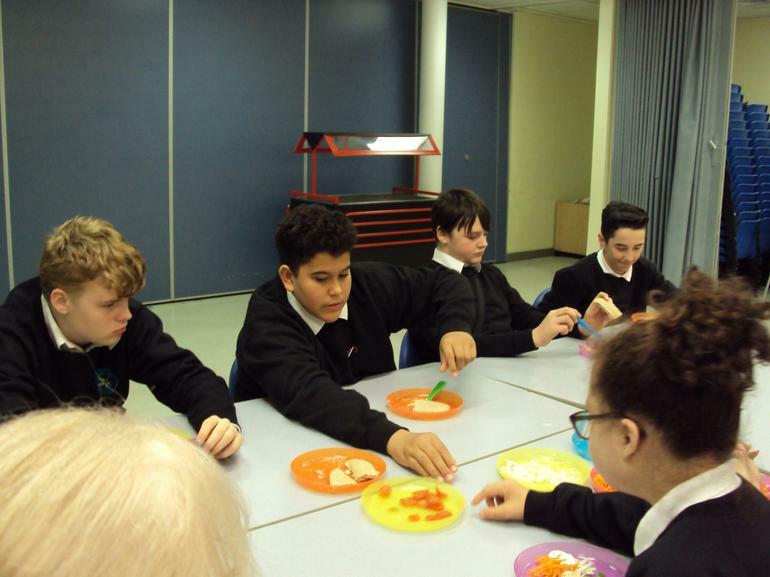 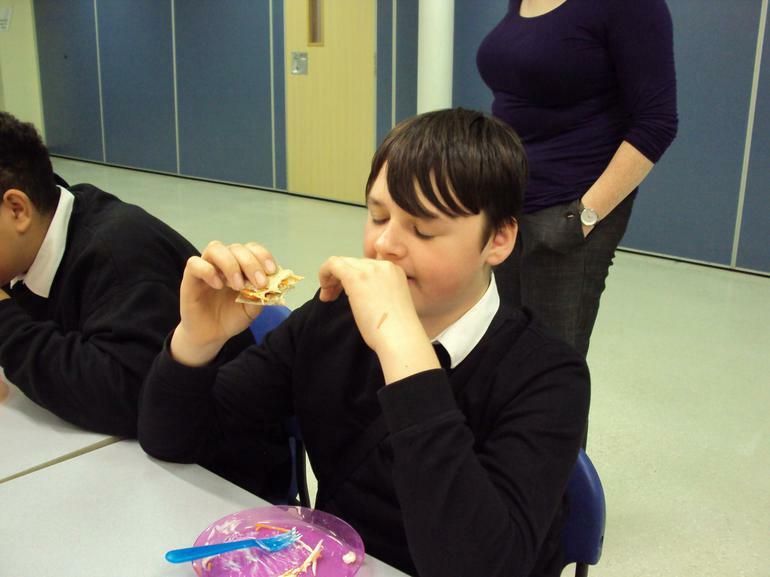 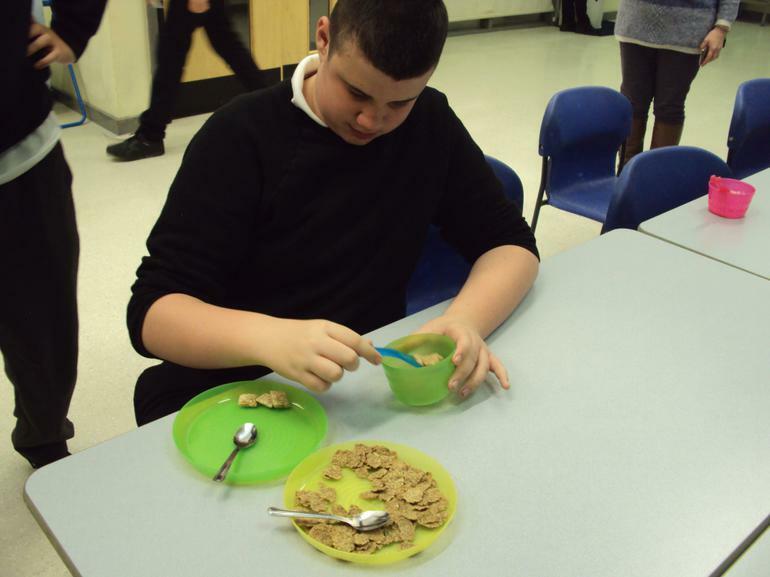 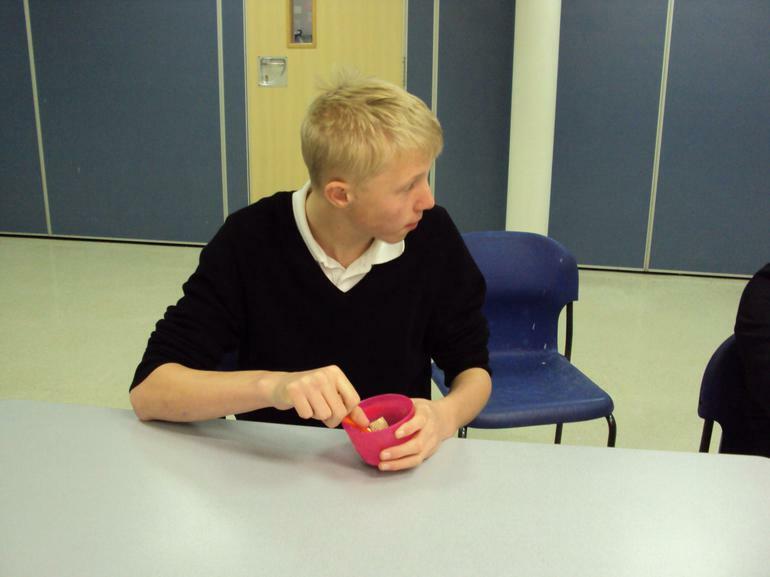 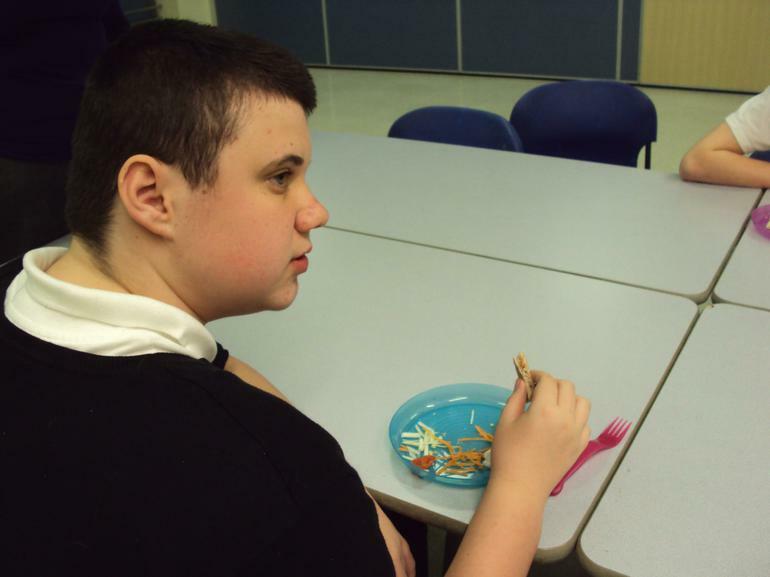 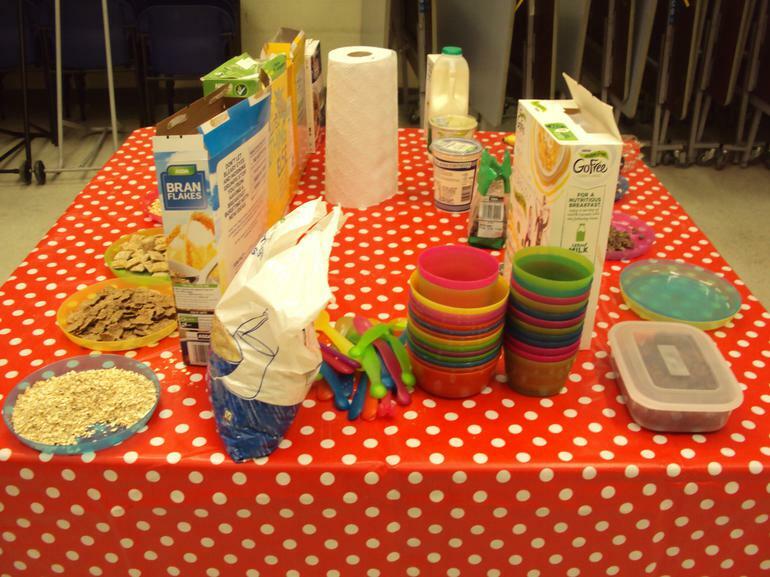 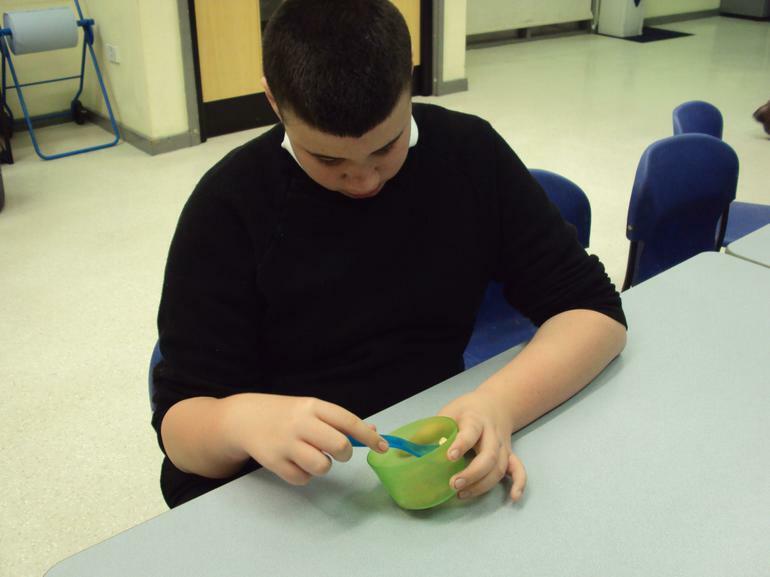 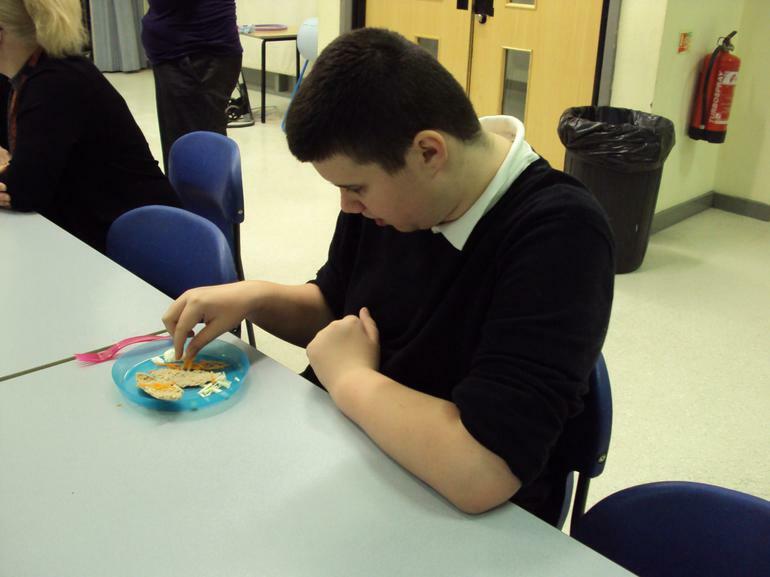 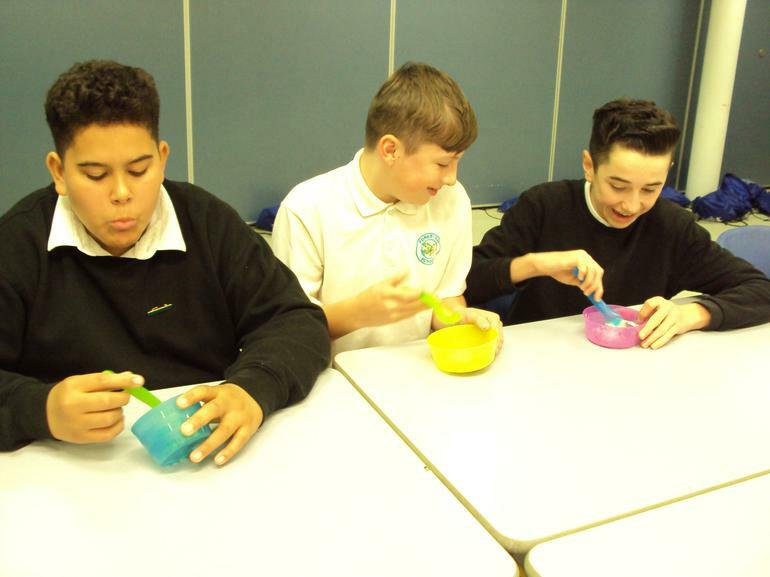 We then tasted foods that we could have towards giving us a good and healthy diet. 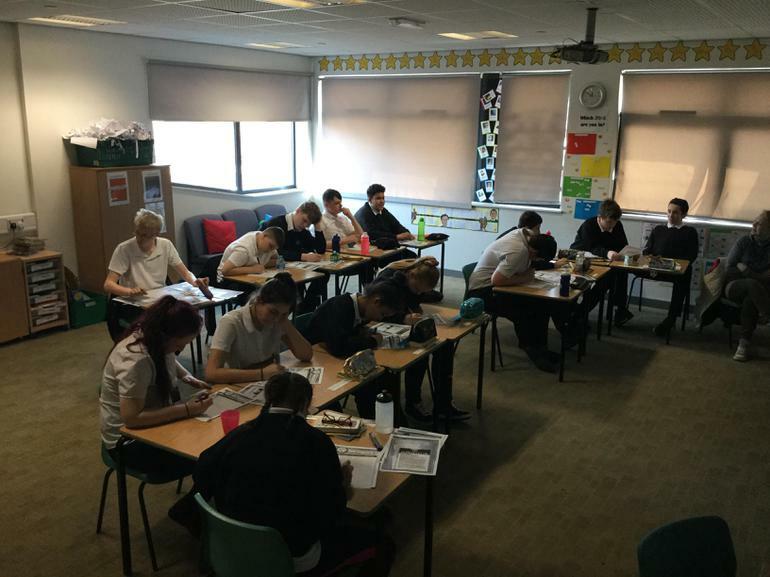 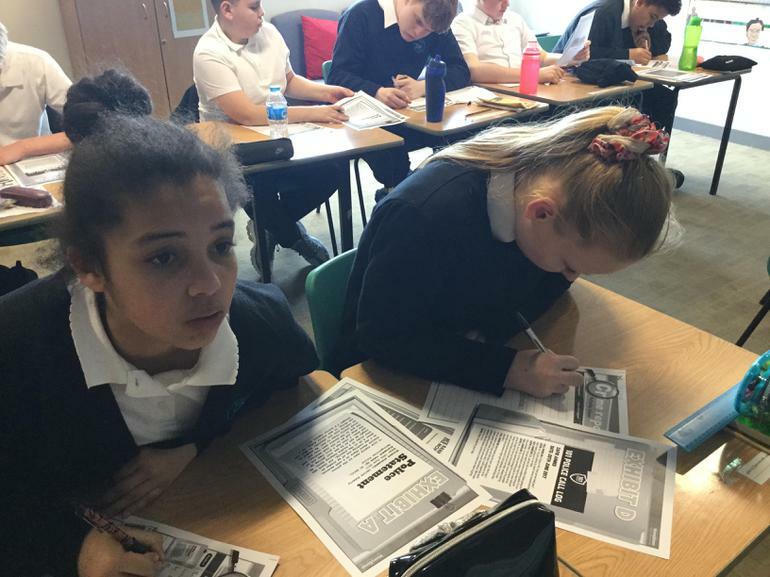 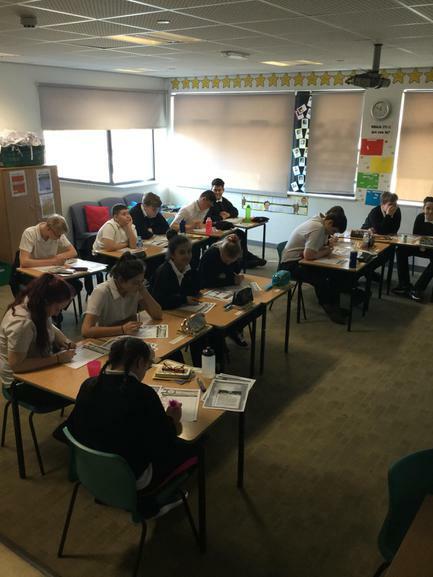 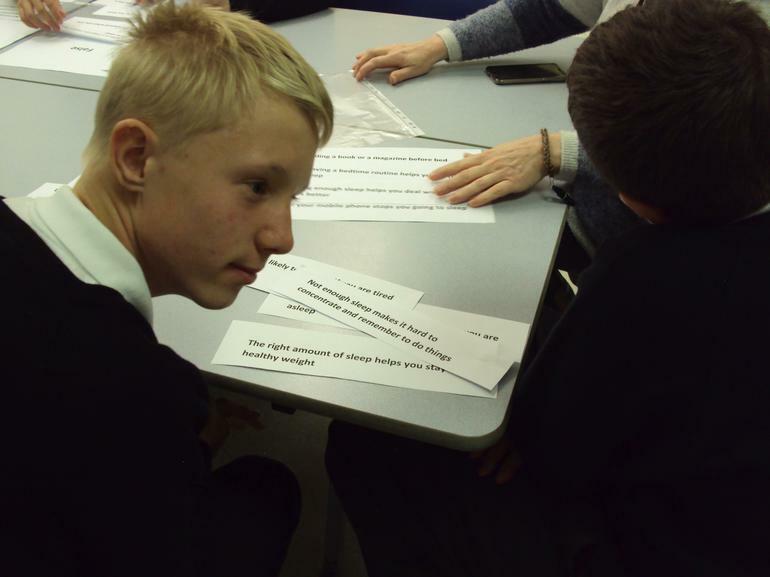 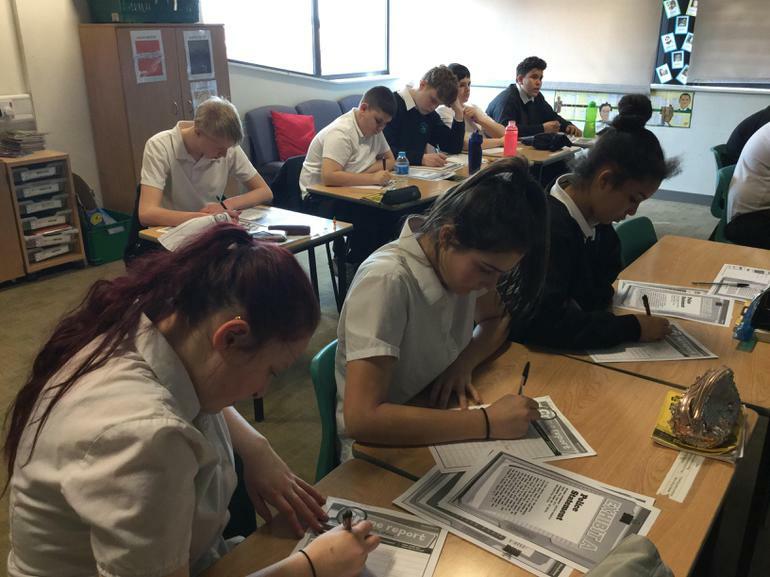 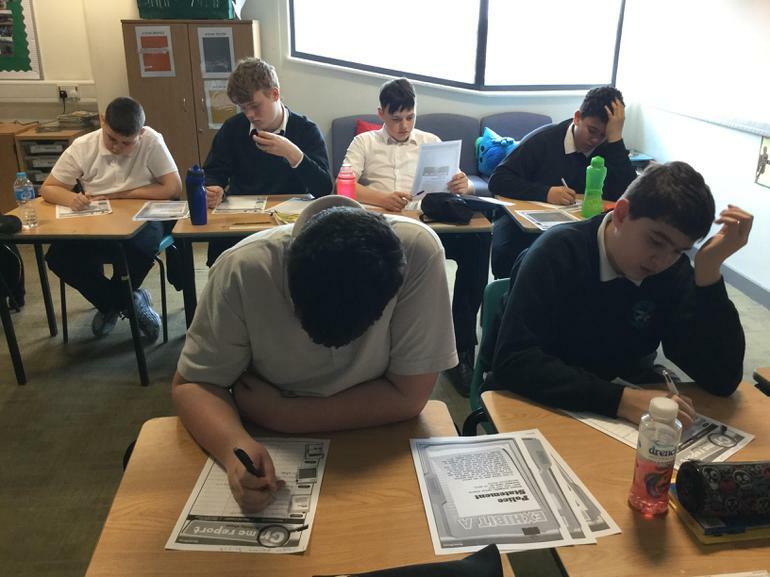 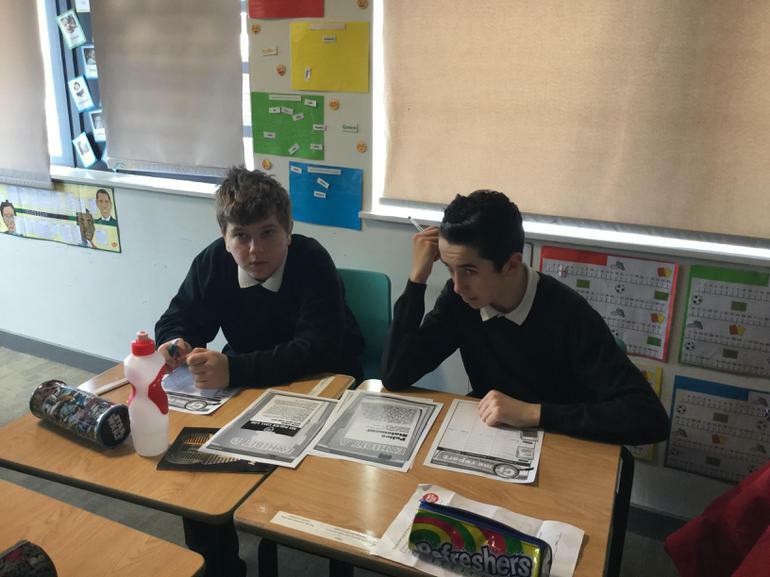 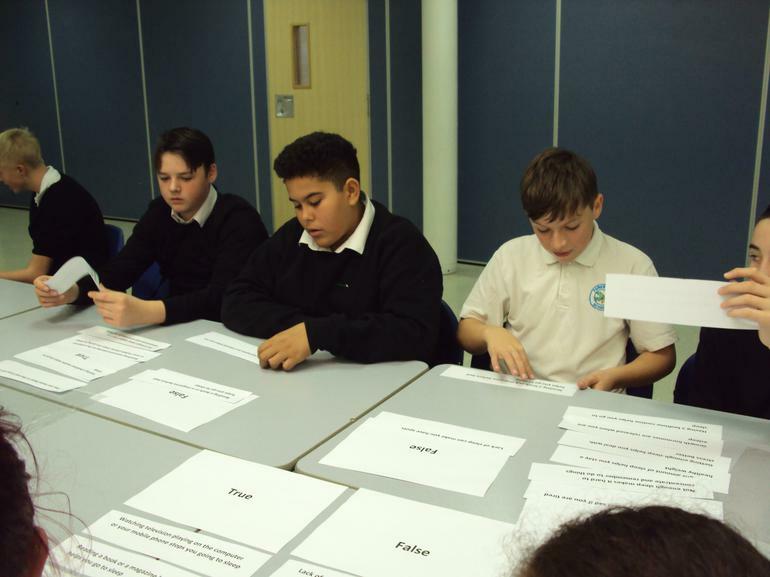 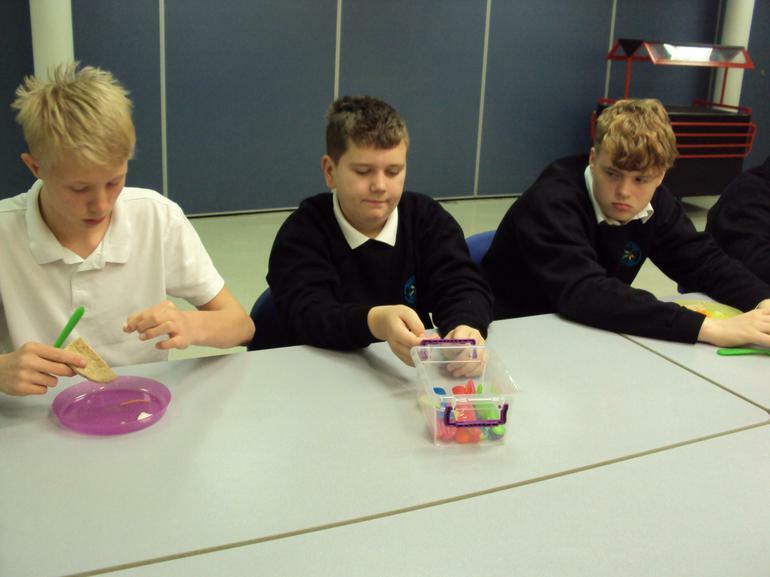 On 20th March 2018 the whole of year 9 participated in an investigating fraud programme called 'Money Sense'. 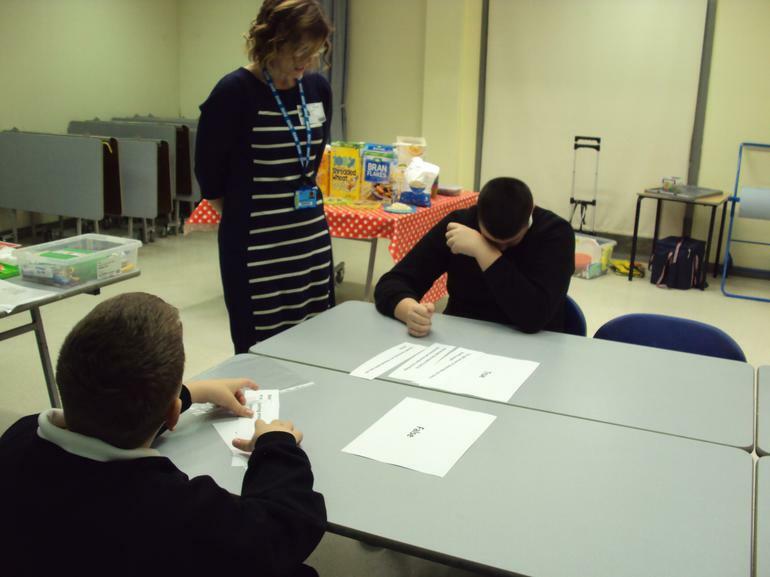 This programme was delivered by Karen Scott a member of the Royal Bank of Scotland. 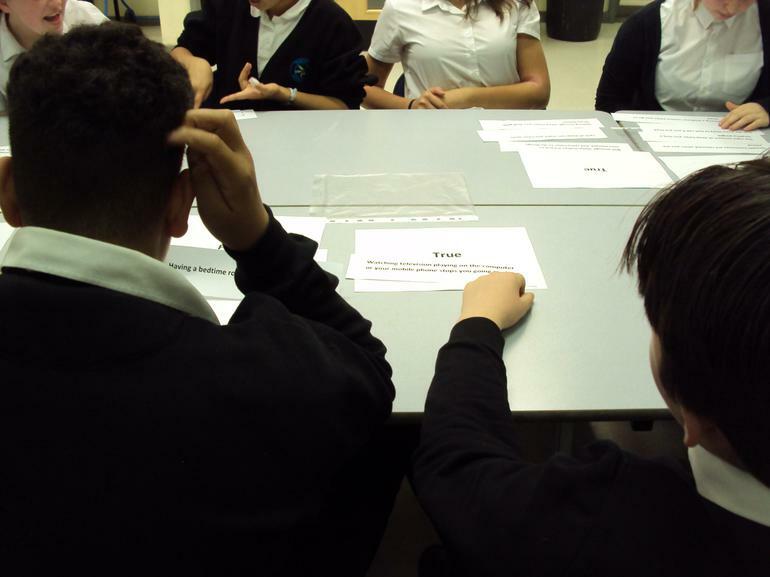 It was a two and a half hour workshop. 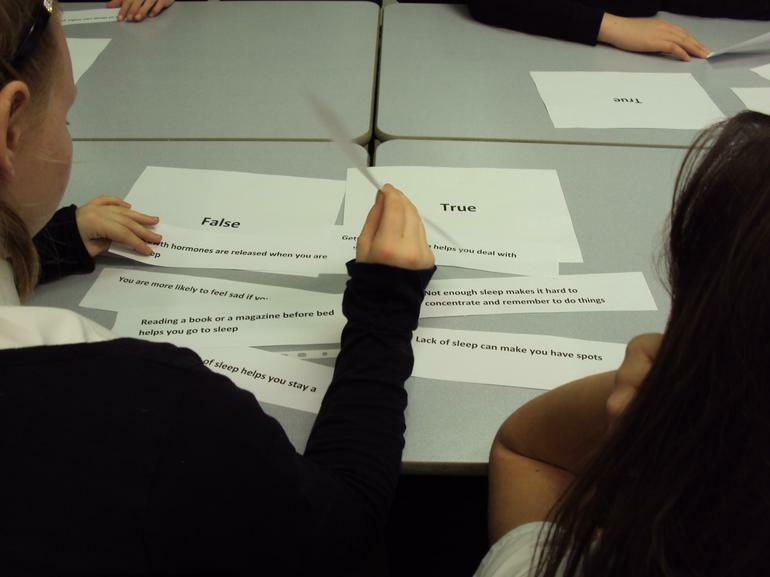 This workshop is designed to help pupils understand different types of frauds and scams, understand how to protect themselves and others from identity theft and fraud and understand the financial and emotional impact of identity theft and fraud. 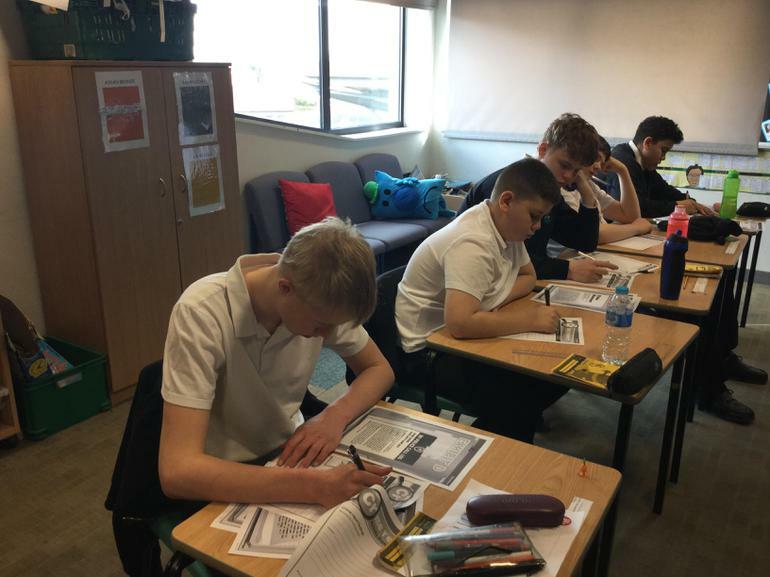 During the workshop the pupils completed activity sheets to correspond with the evidence and scenarios presented to them.